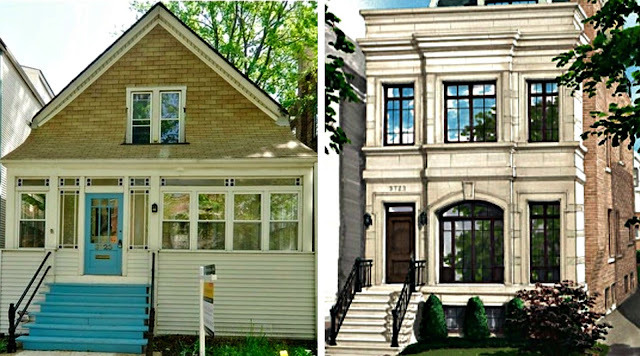 in Lake View from the year 2014 to the 2017 with some stories of long past teardowns. 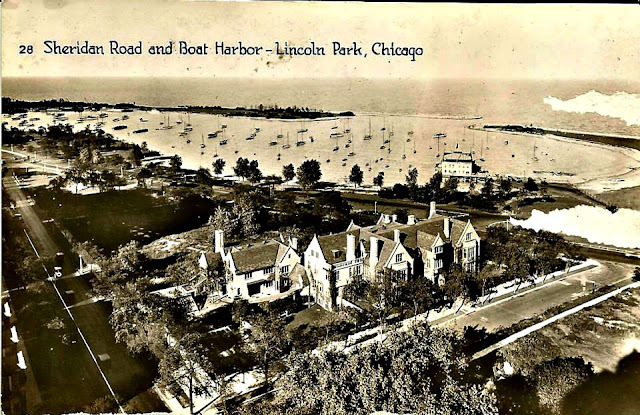 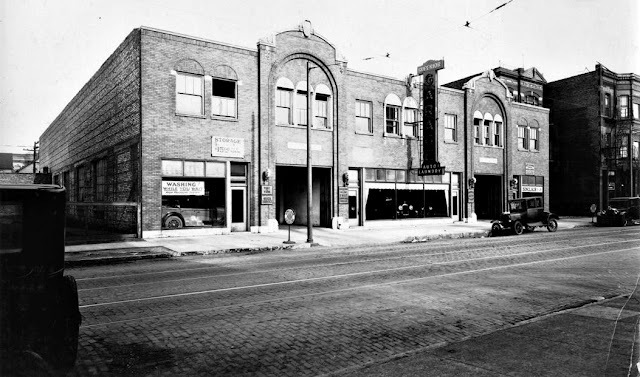 Most of my information about teardowns in Lake View and in a limited manner Lincoln Park north of Fullerton Avenue (prior to 1889 construction date) are from online source called Chicago Cityscape that was established in 2014. 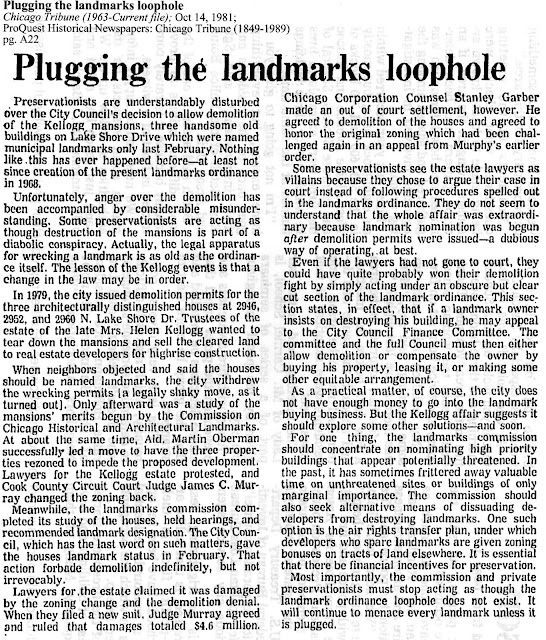 There ‘About’ page reads the following: ‘Chicago Cityscape makes neighborhood, property, and construction development data accessible to all. 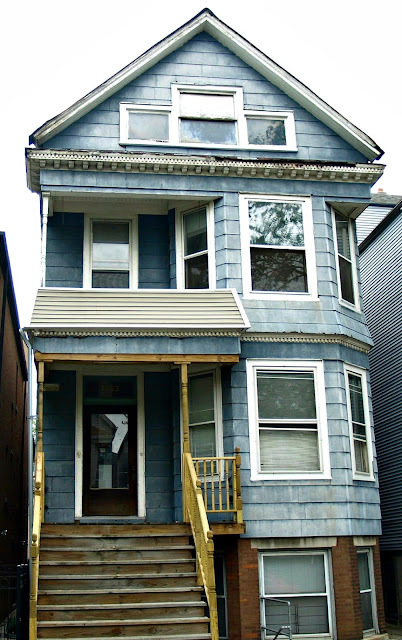 We track demolitions, tear-downs, business licenses, and building permits and violations. We emphasize development near transit, of affordable housing, preservation, and special projects awaiting city approval. 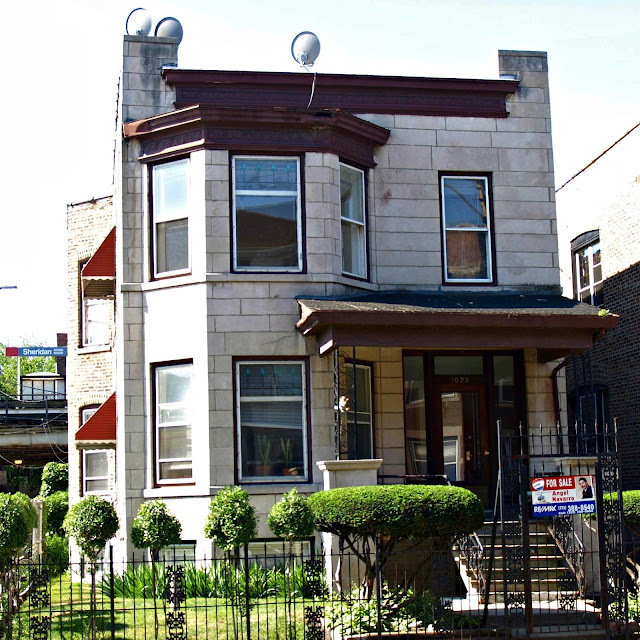 We promote development news on the South and West Sides. Chicago Cityscape was founded in 2014 to simplify finding building projects & the individuals and businesses who make them using the city's open and extensive neighborhood development datasets.’ Some of news about tear downs & construction news are from an aggregated online news site called Curbed Chicago. 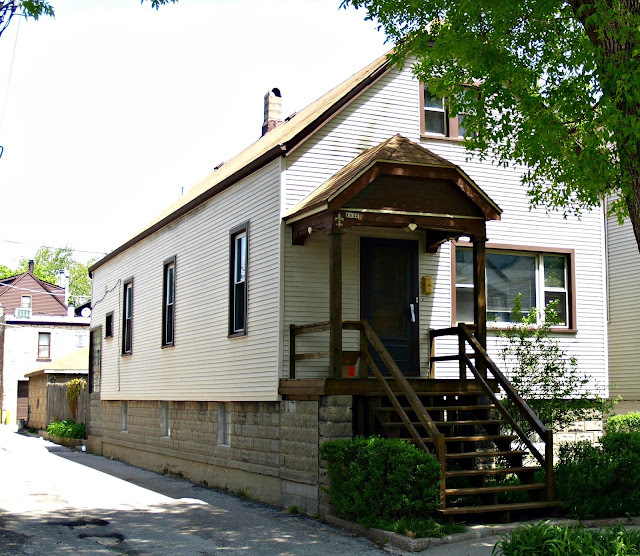 I checked the original construction date of particular tear-down along with some interesting house interior photos by checking real estate companies such as Trulia and Redfin. 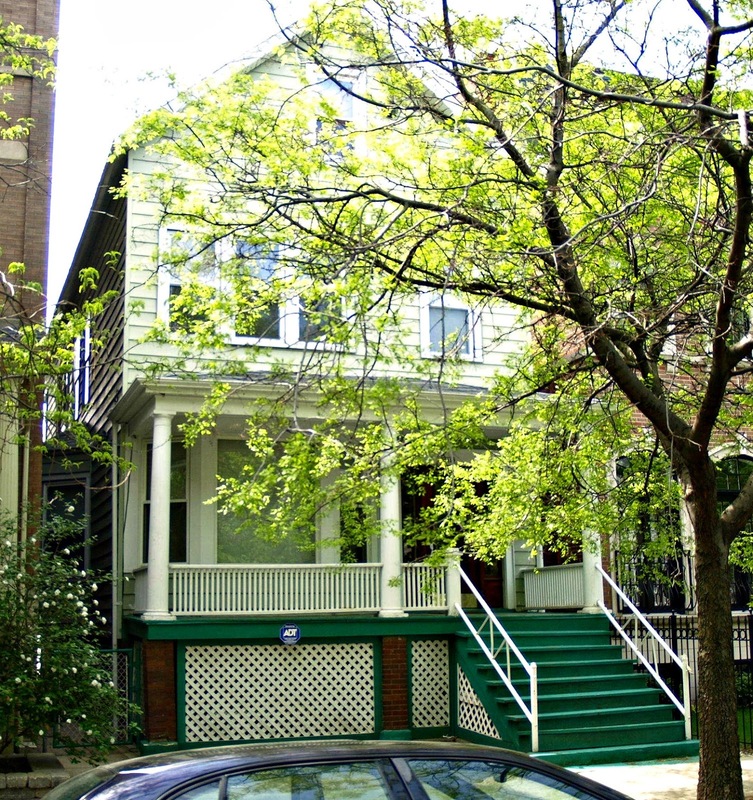 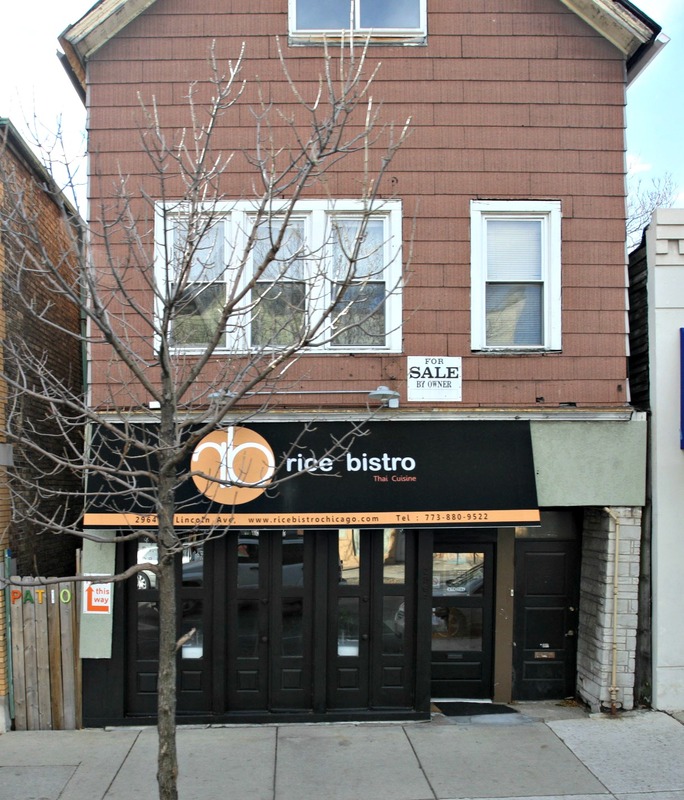 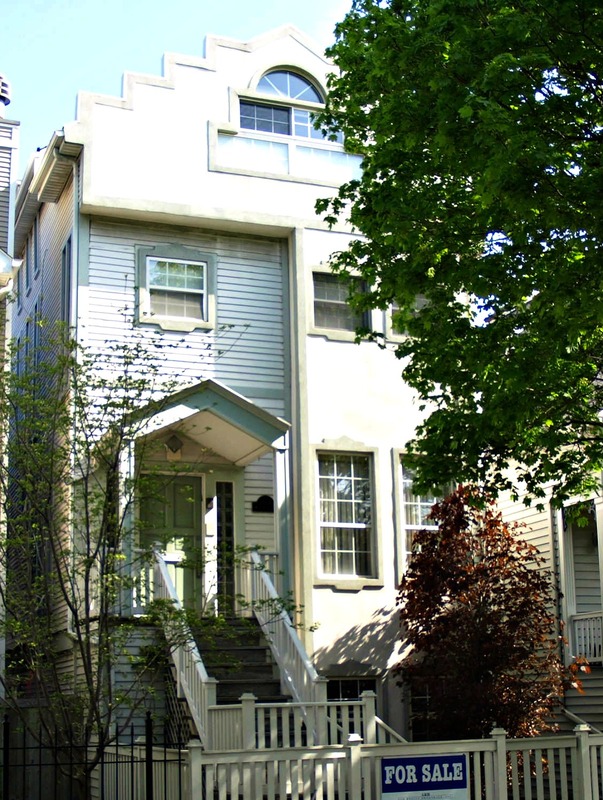 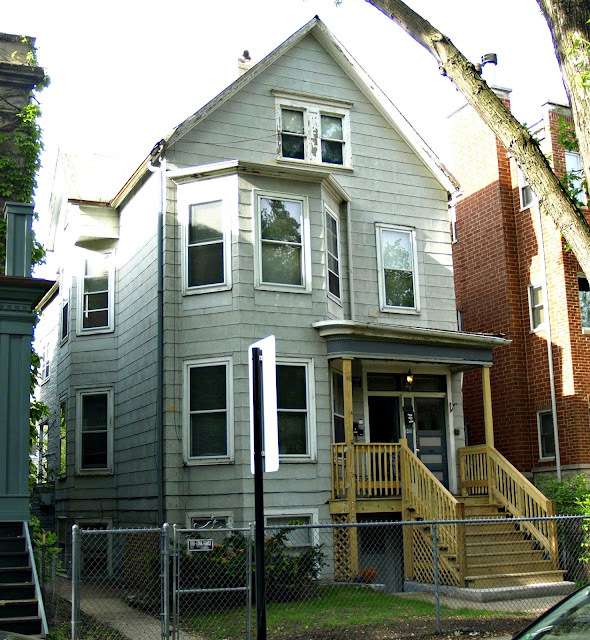 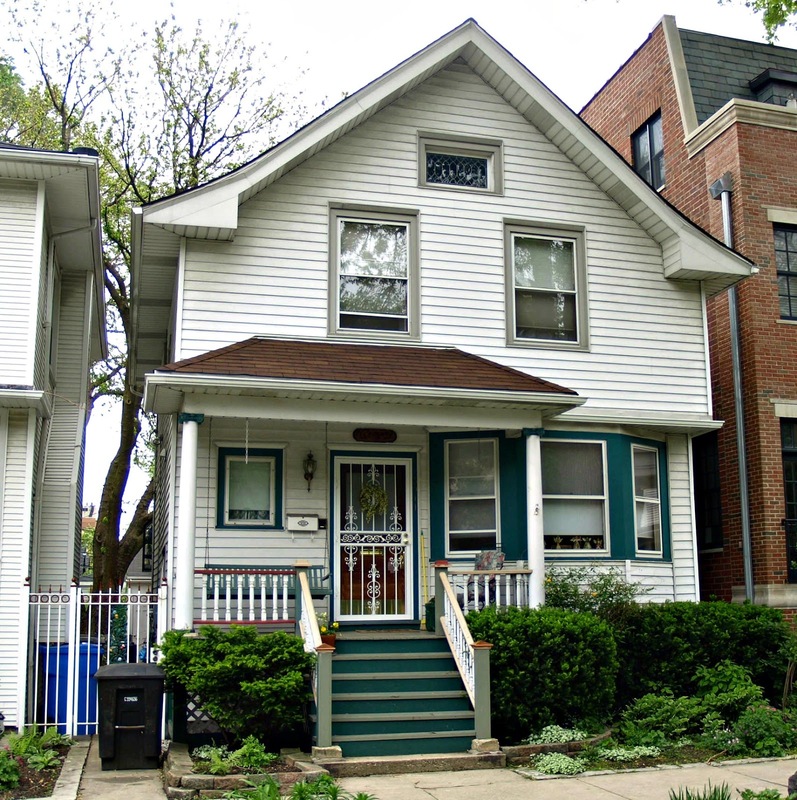 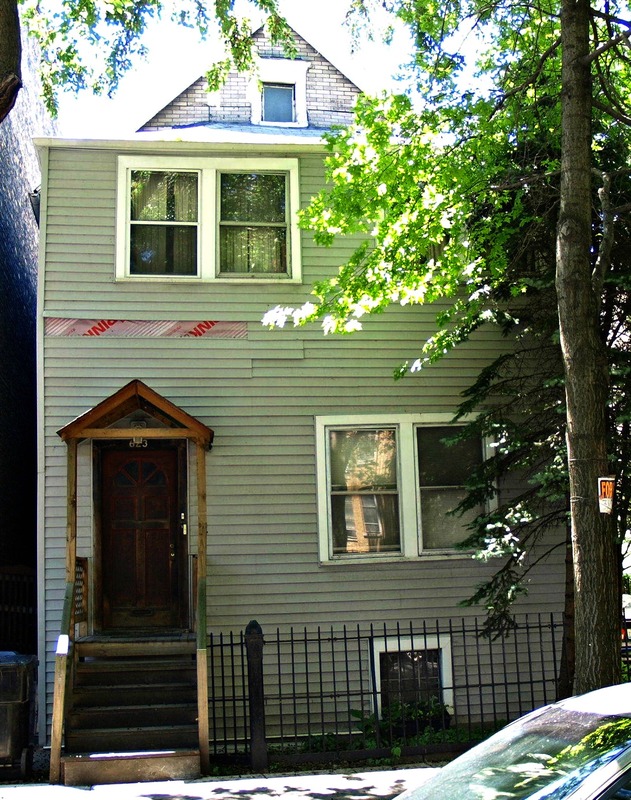 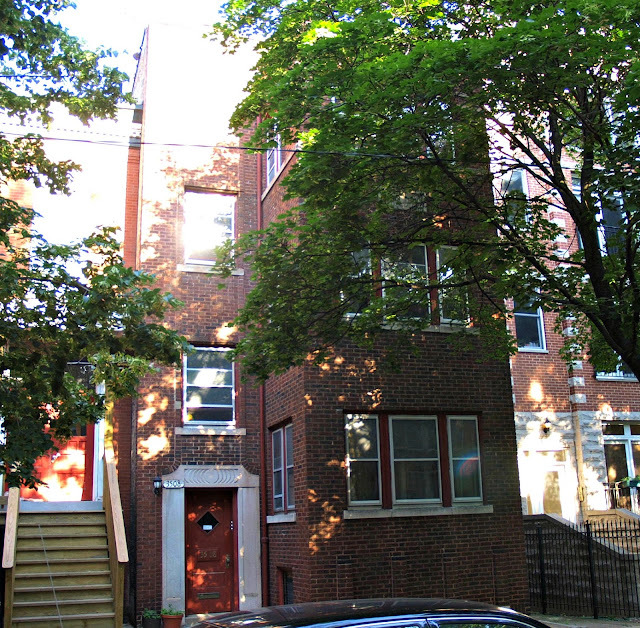 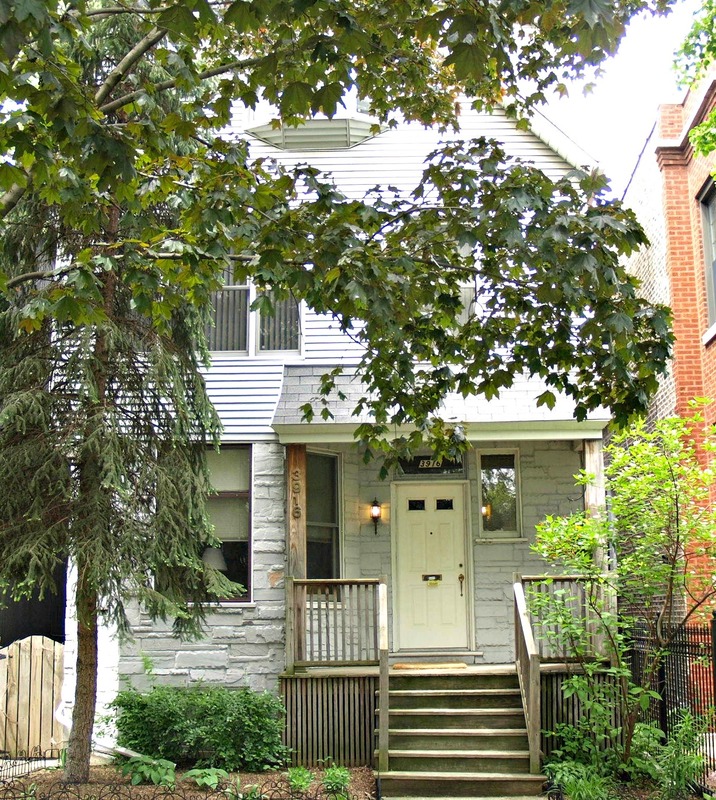 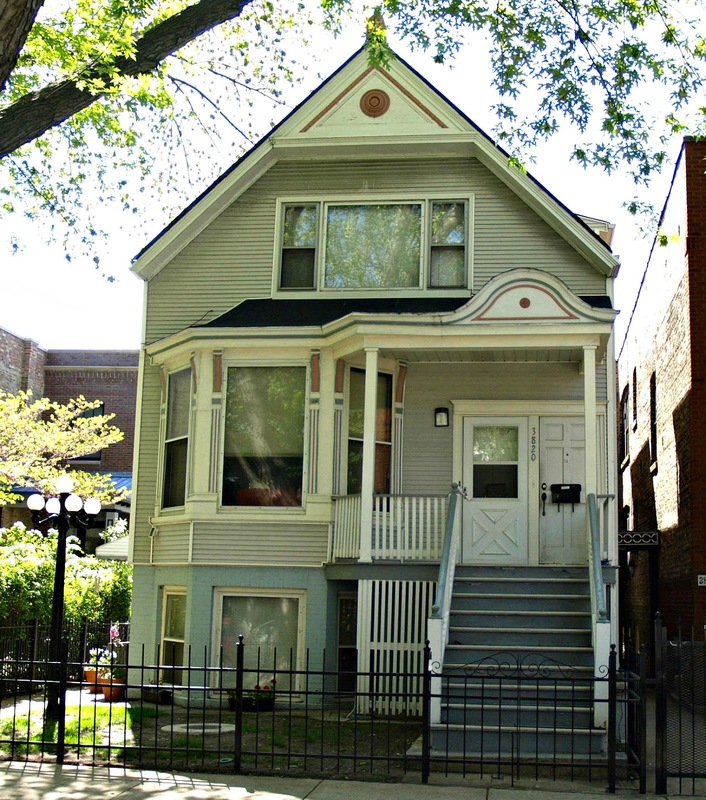 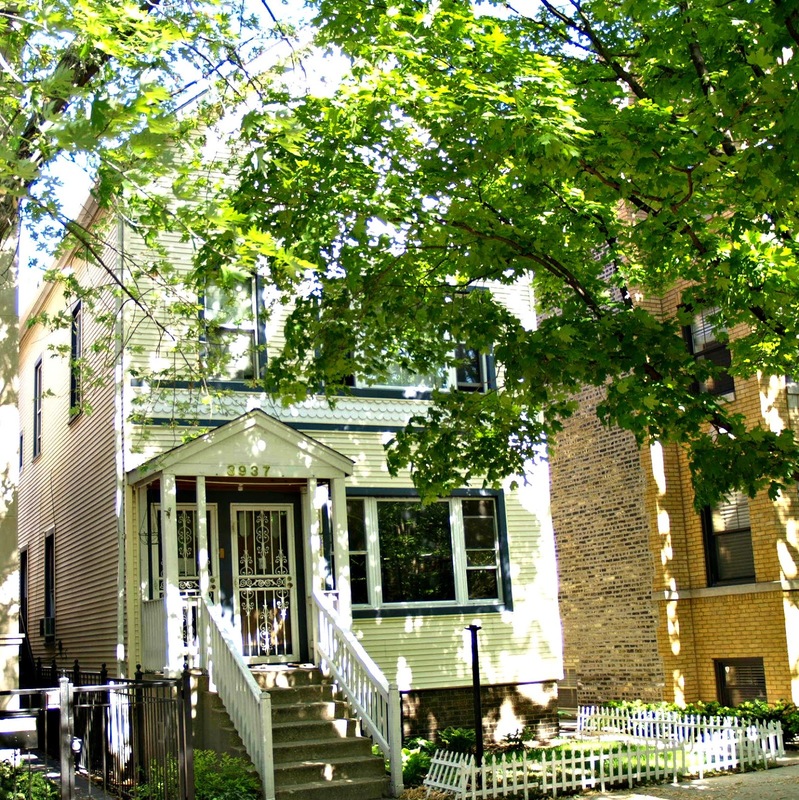 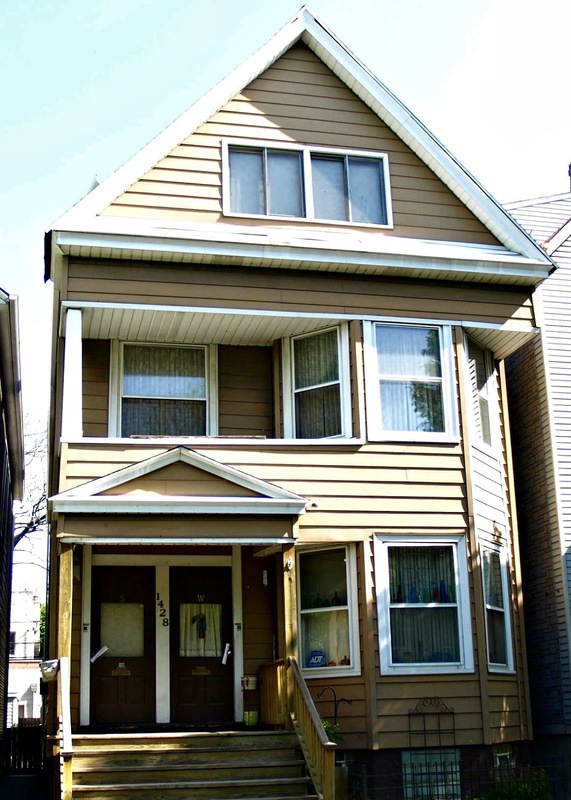 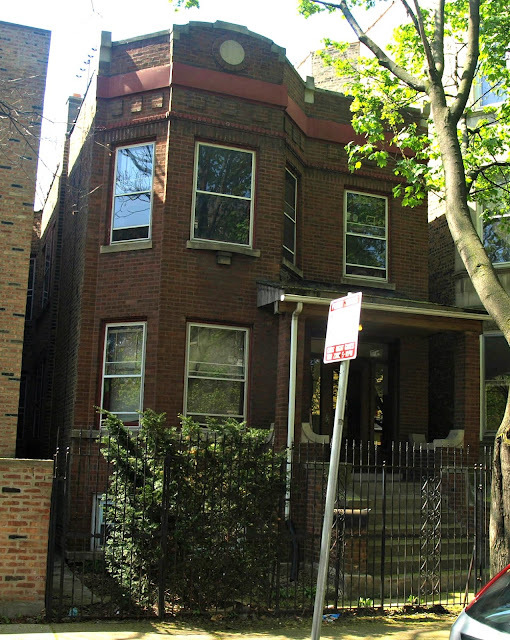 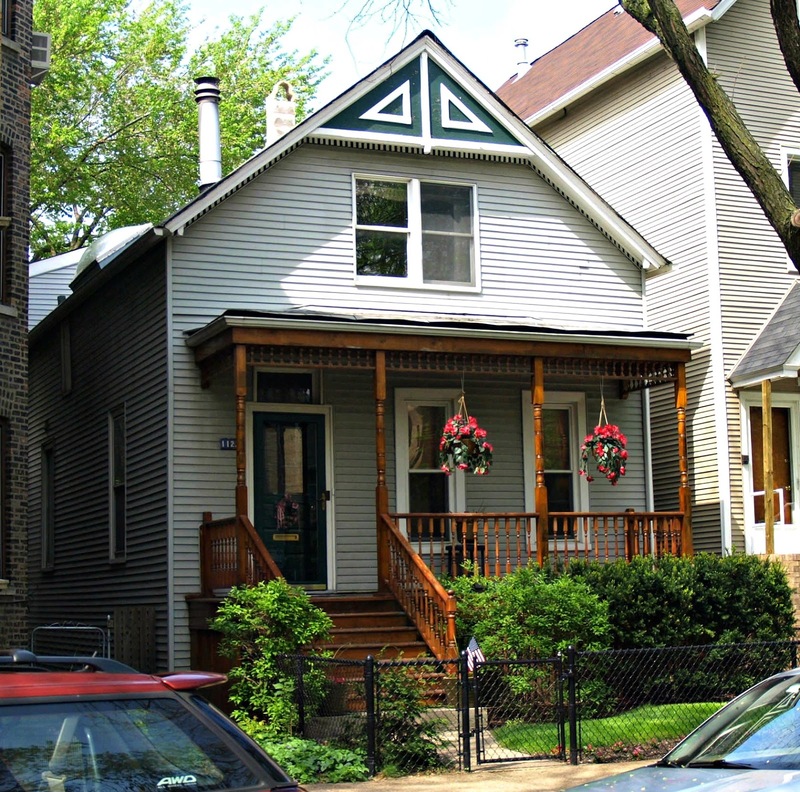 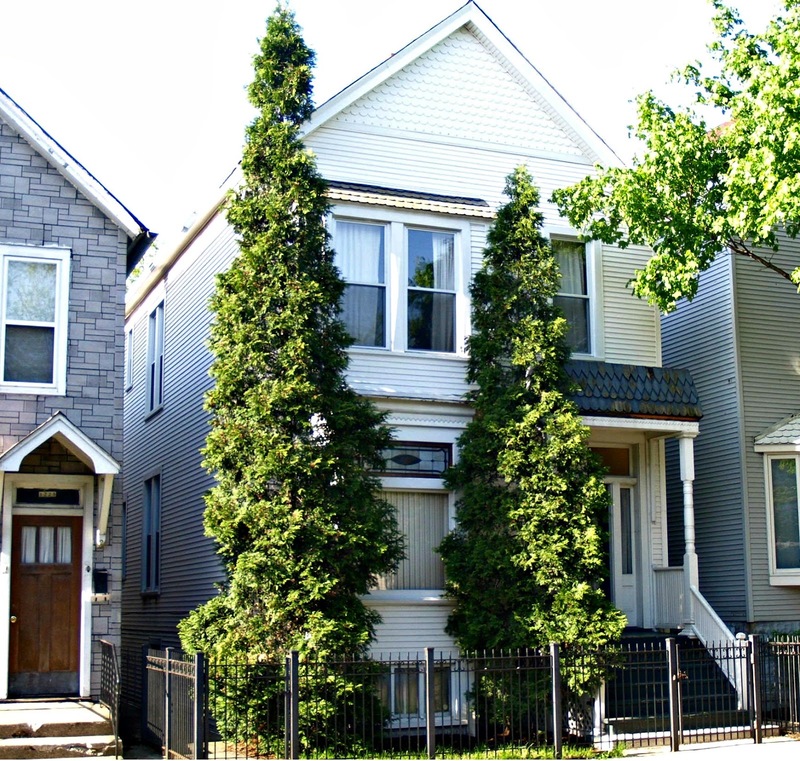 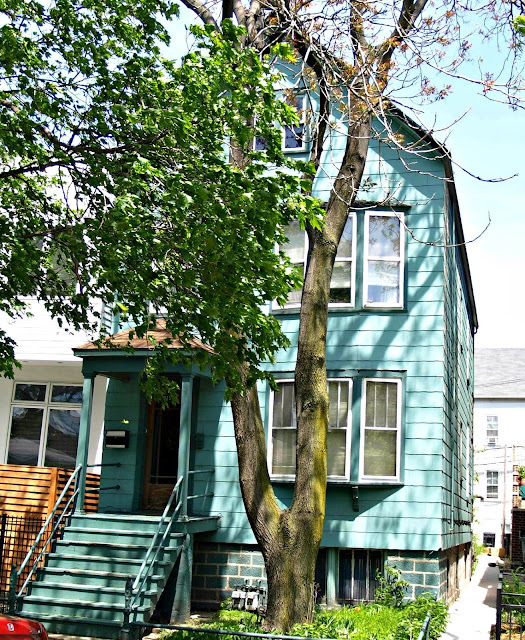 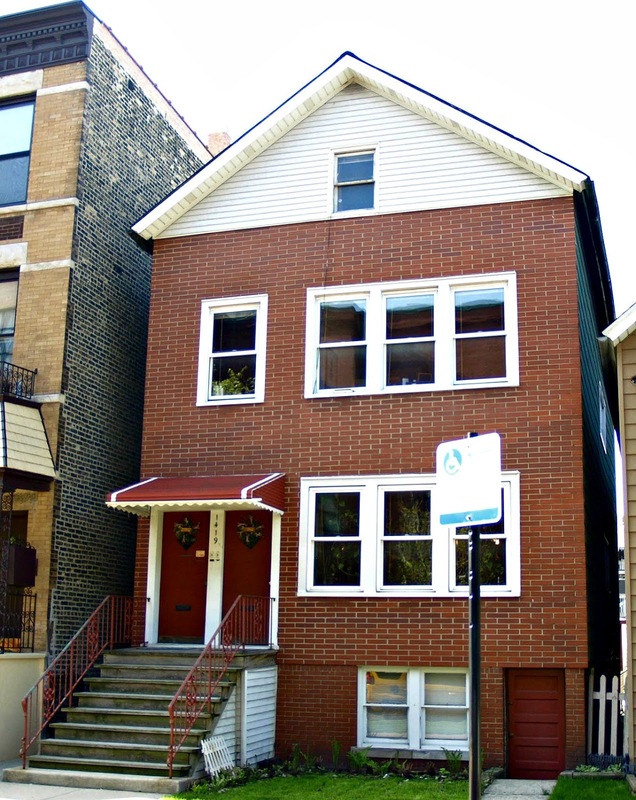 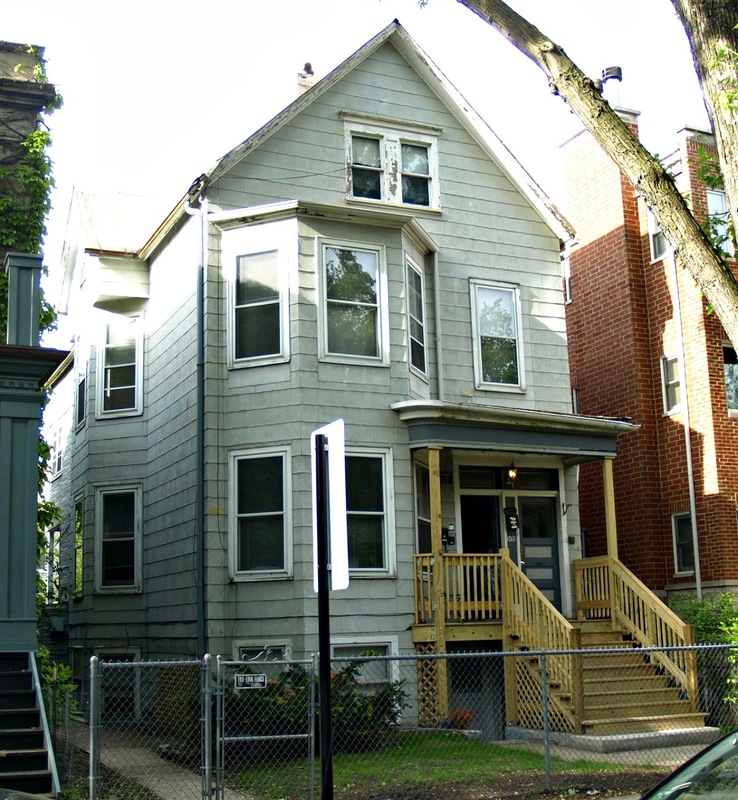 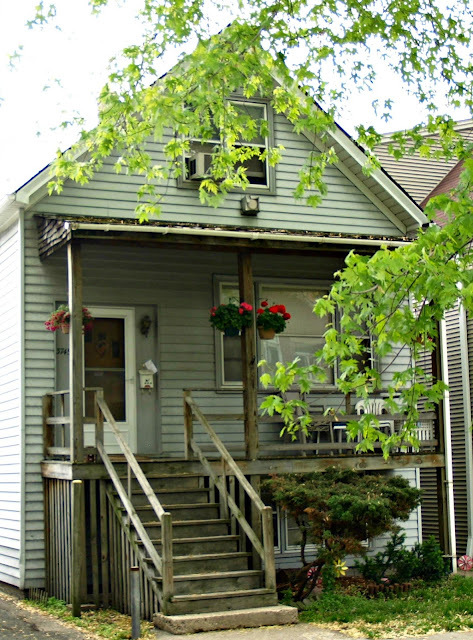 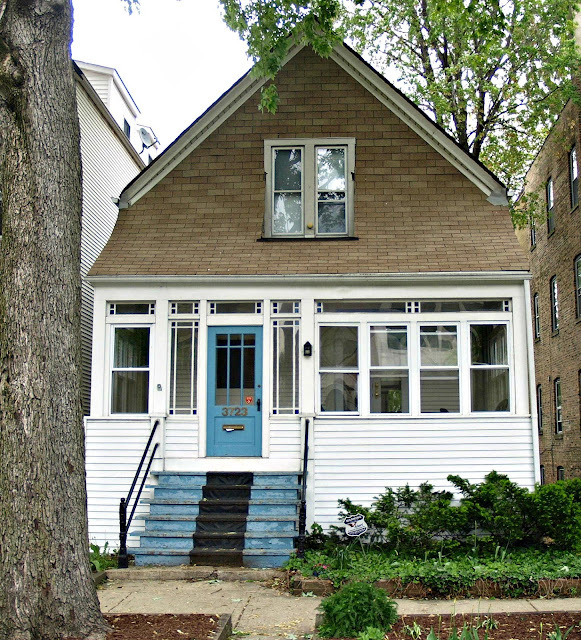 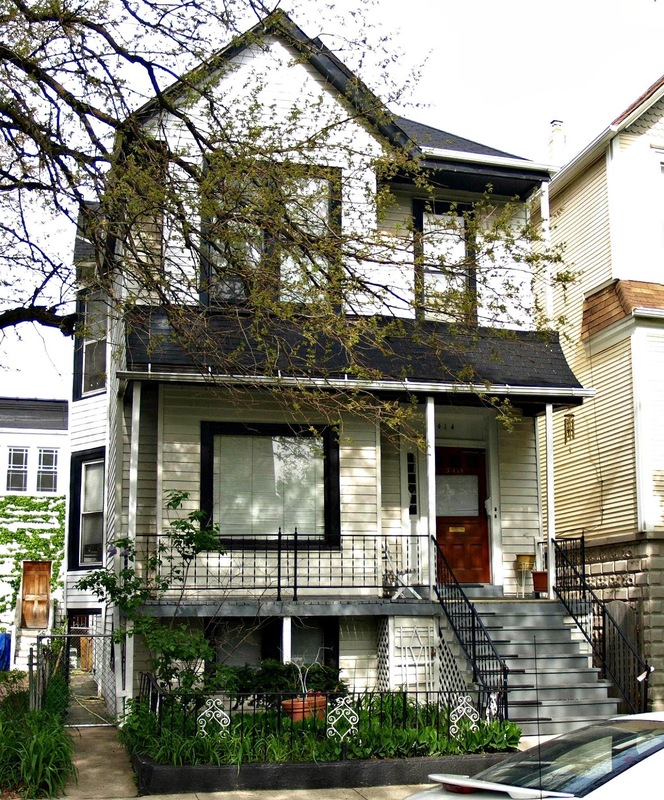 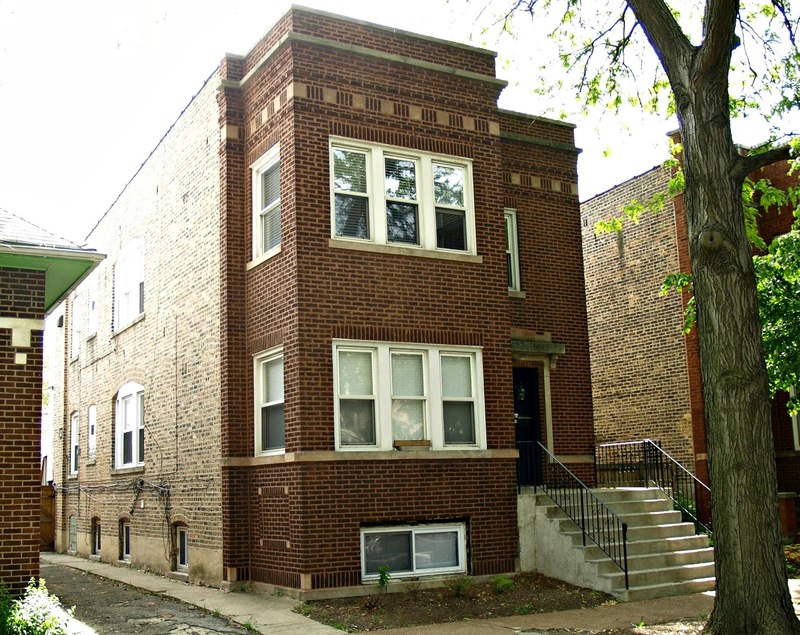 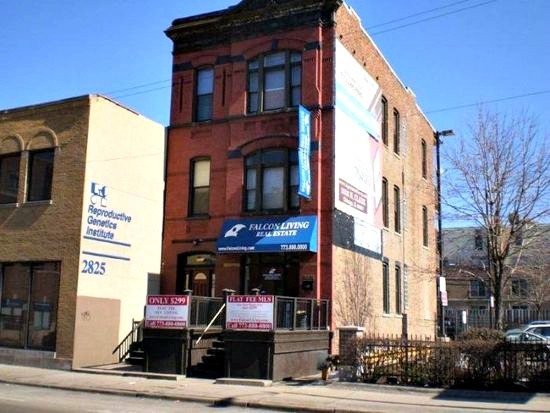 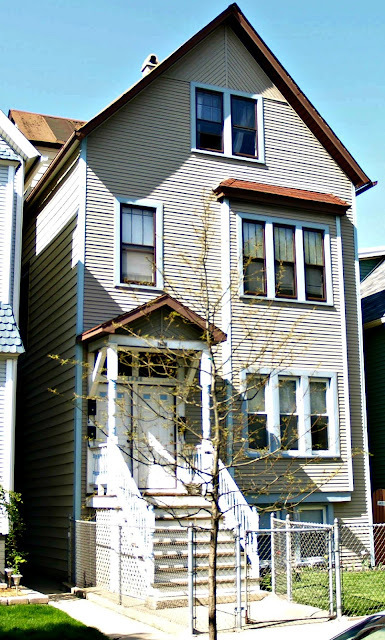 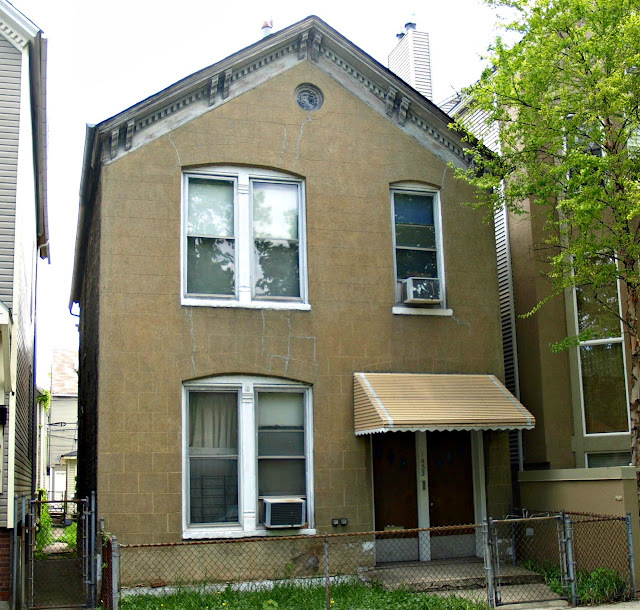 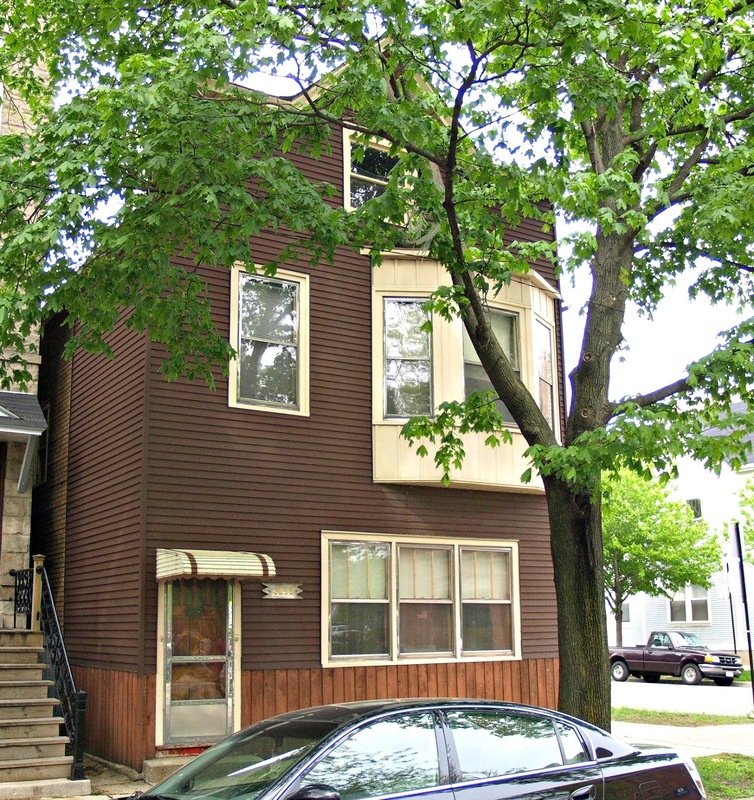 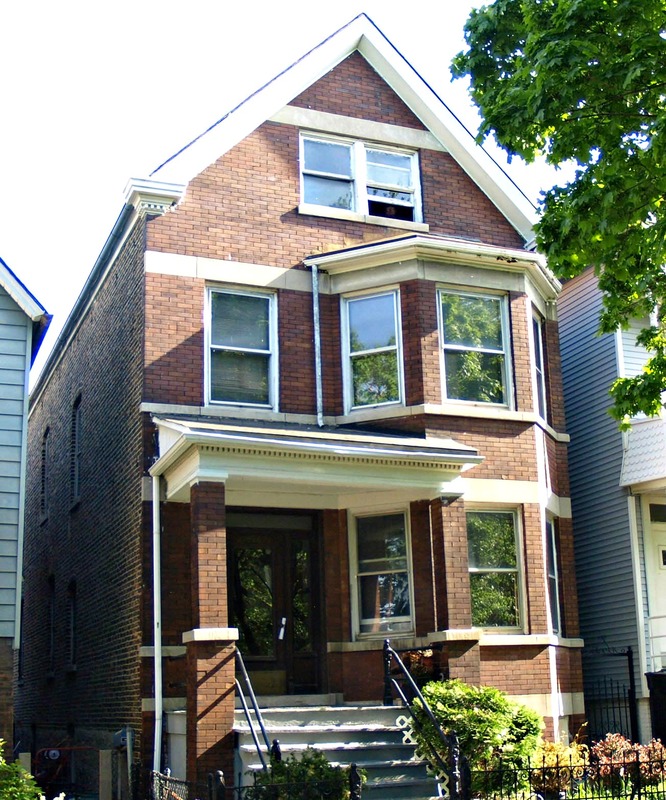 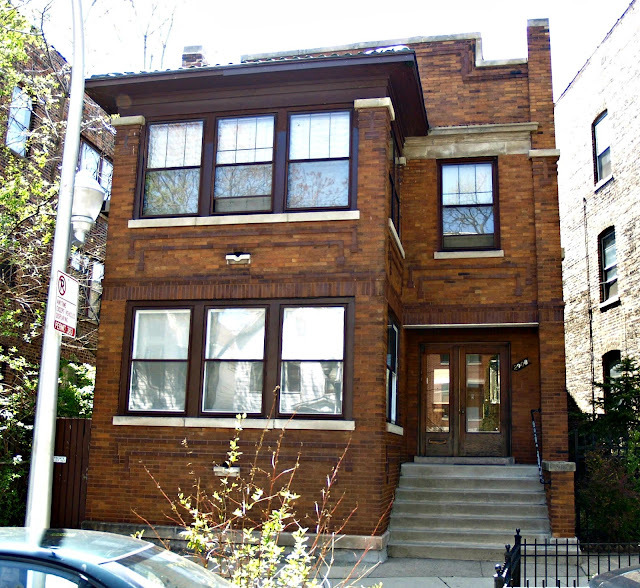 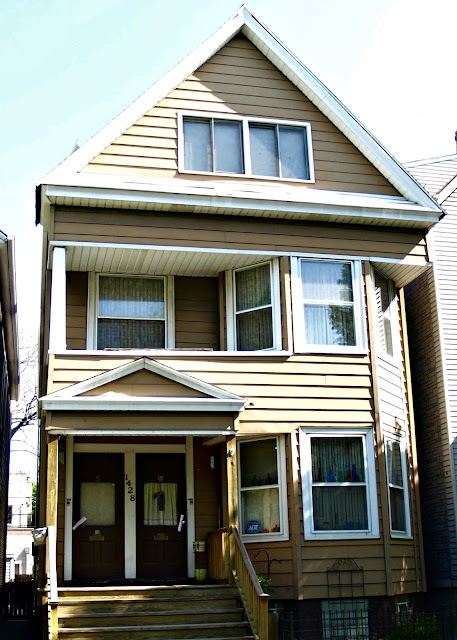 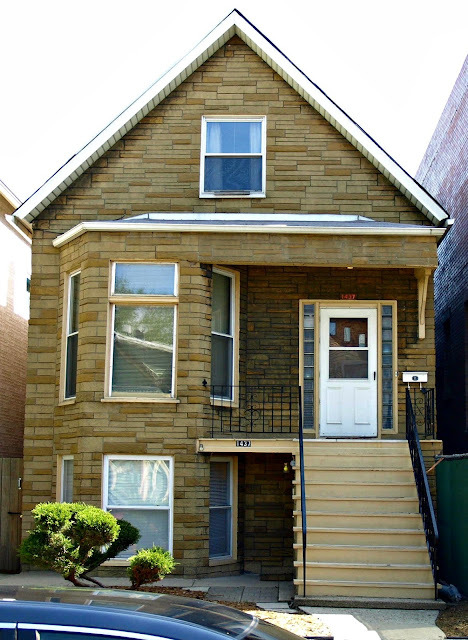 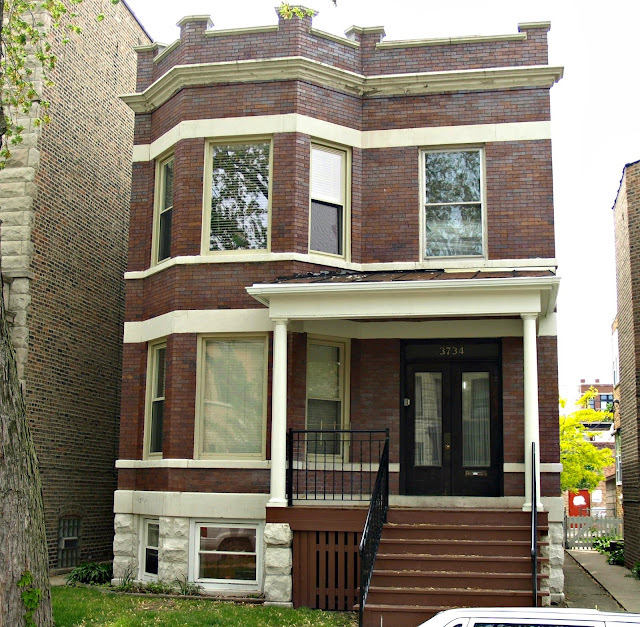 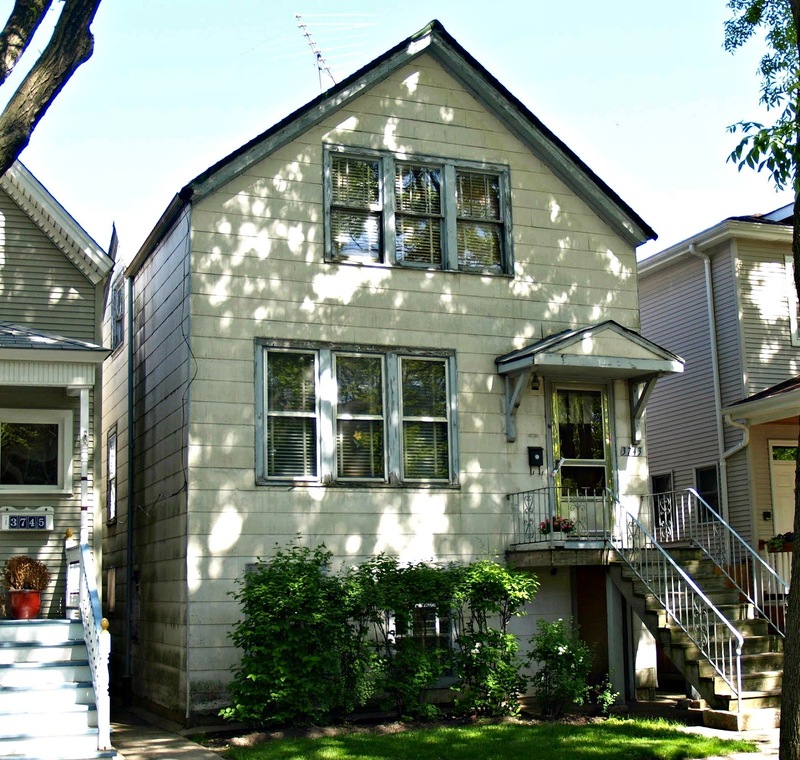 If there is a teardown not mentioned in this post the reader can conduct your own research by the use of Chicago Cityscape database either for Lake View or Lake View East. 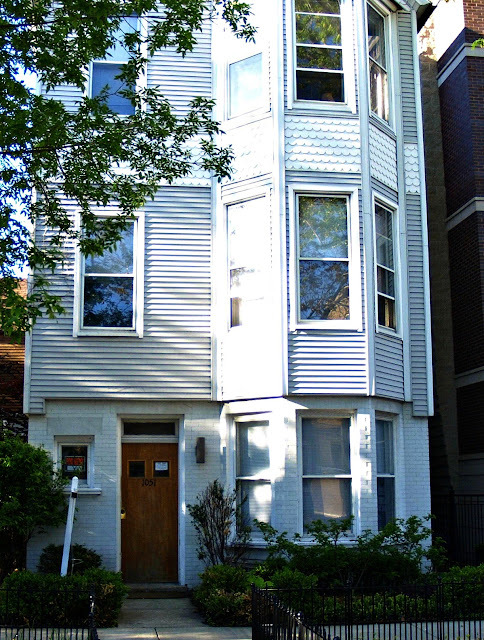 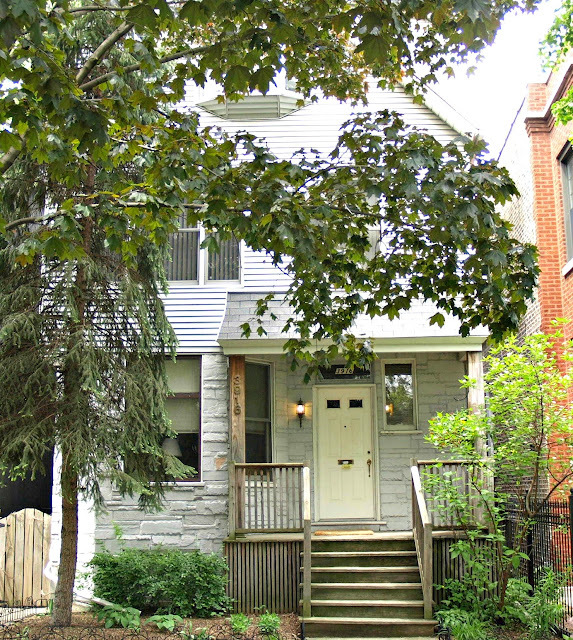 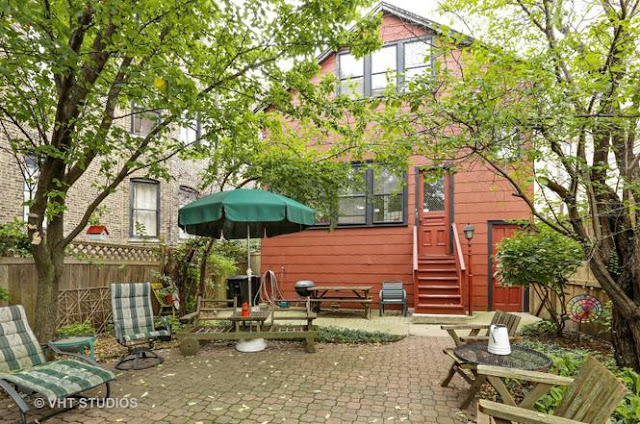 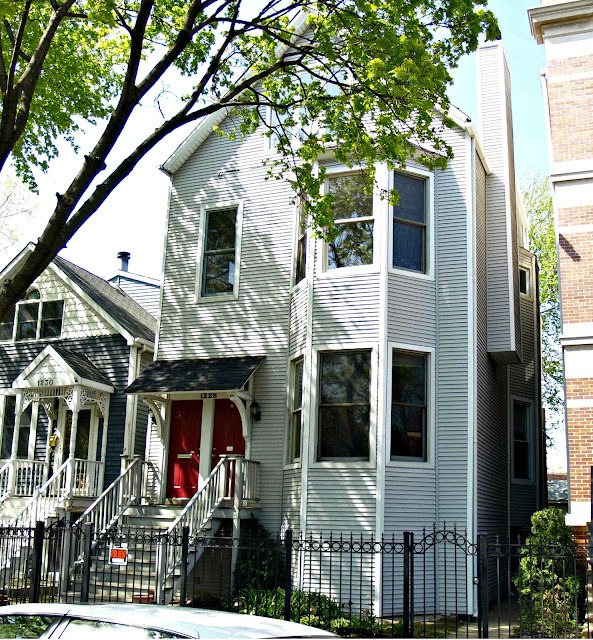 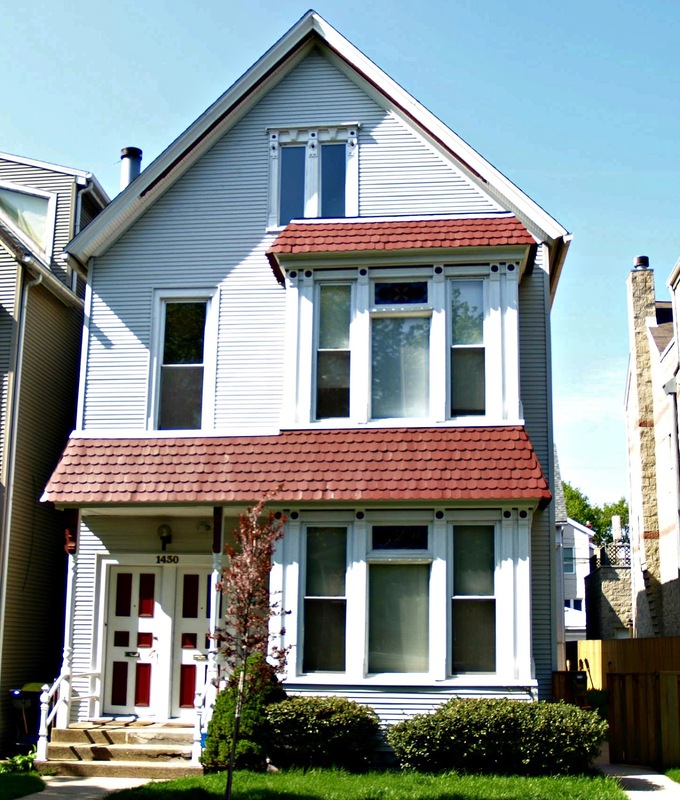 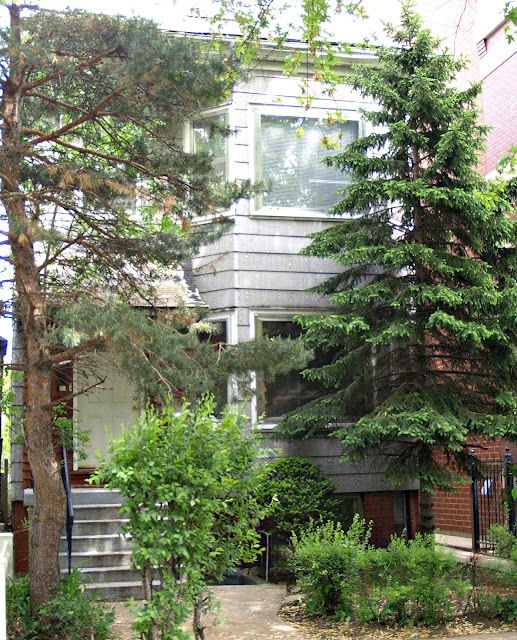 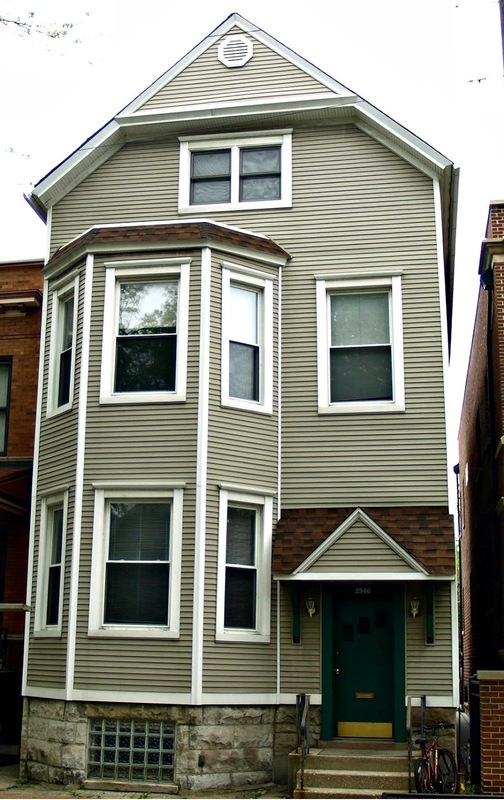 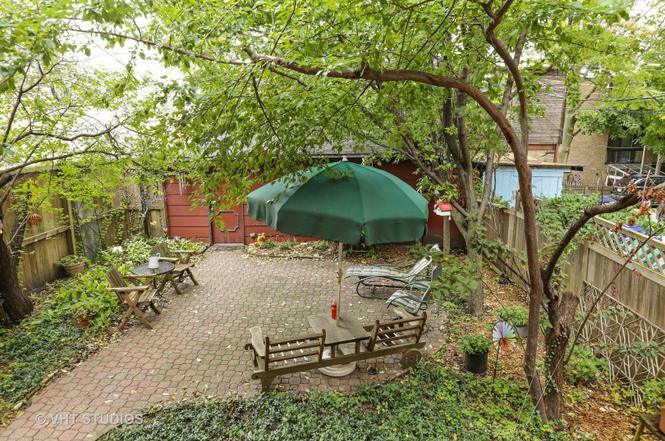 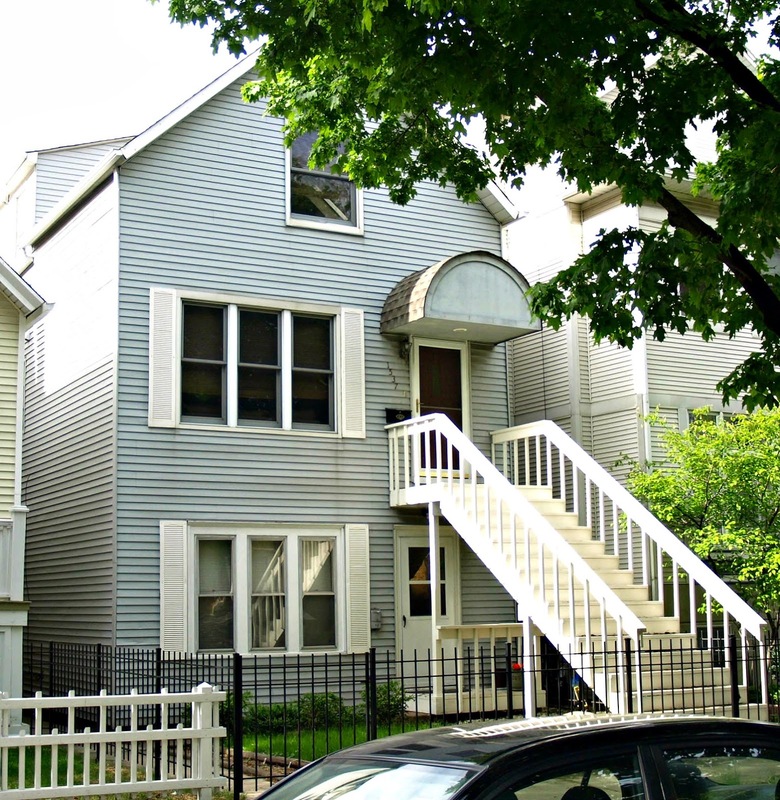 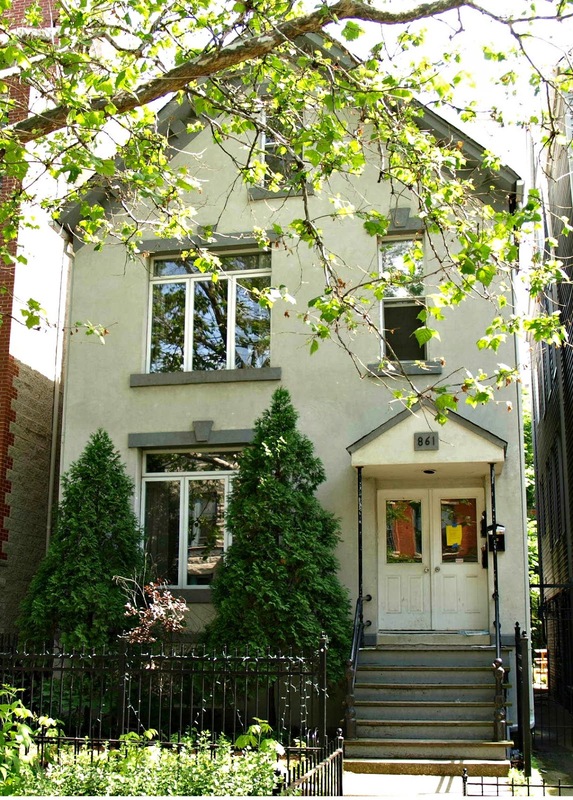 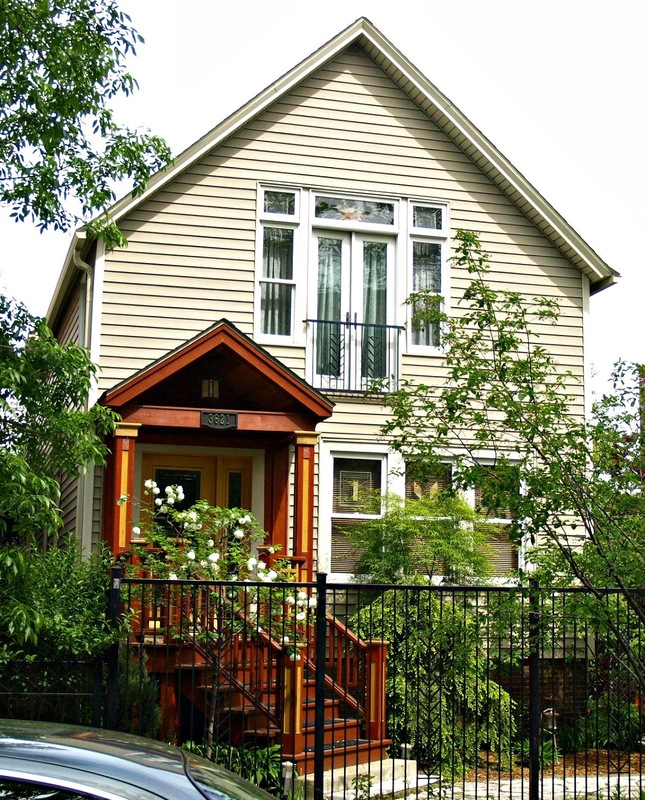 'A coach house is a typical kind of accessory dwelling unit (ADU) in Chicago that were built at the rear of lots. 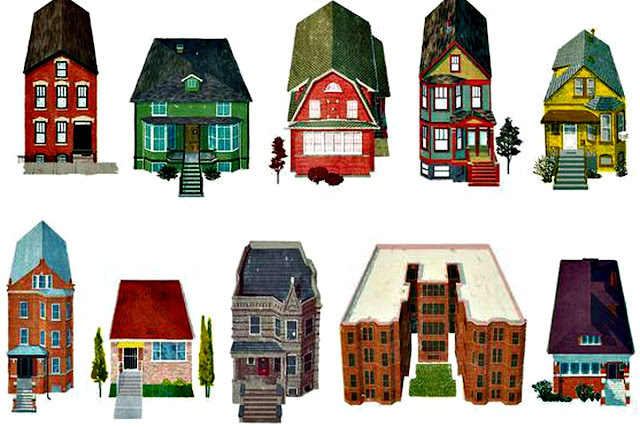 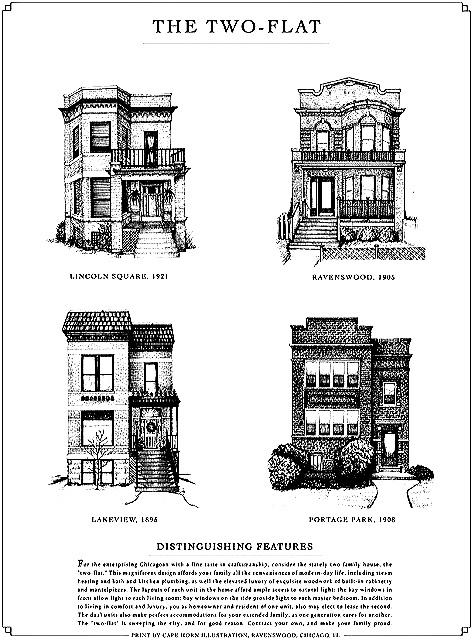 In the majority of cases, a principal use like a single-family house or 2-4 flat was built in the front of the lot. In rare cases, a coach house is the only building on the lot as a house up front was never built.' 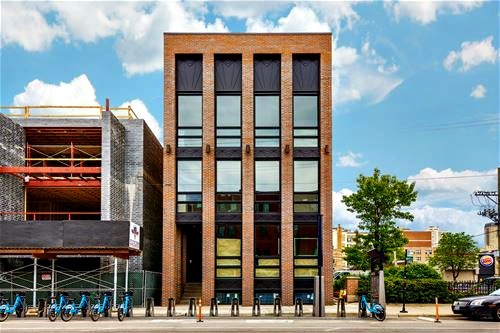 As of 2018 modern couch houses are illegal to construct in Chicago while renting old ones is difficult to do. 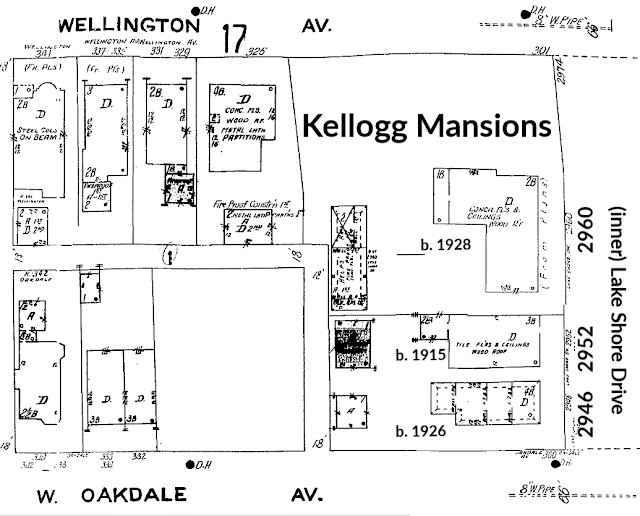 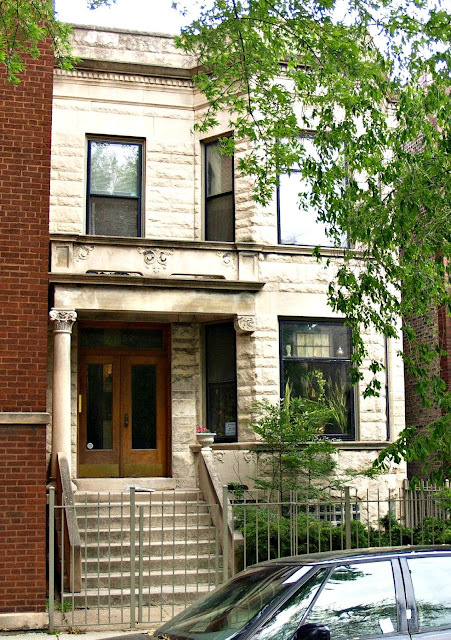 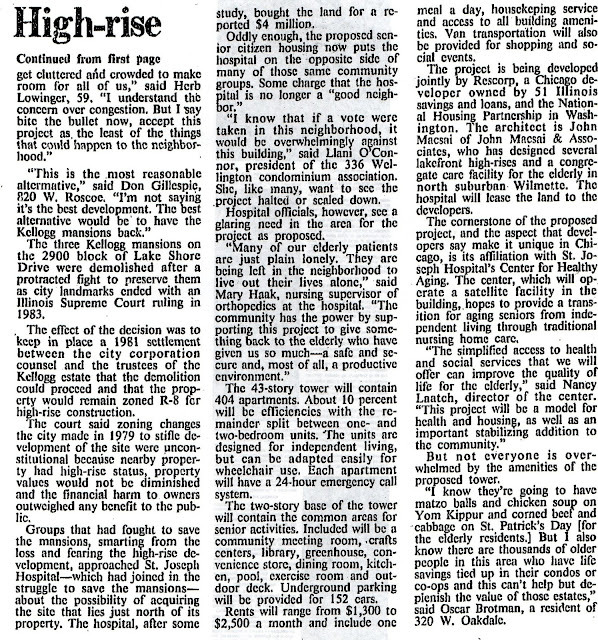 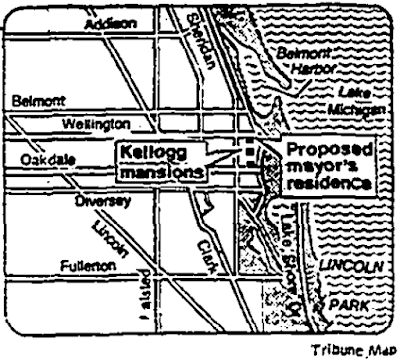 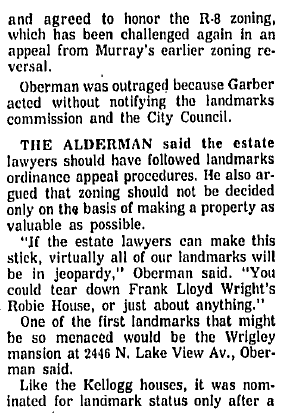 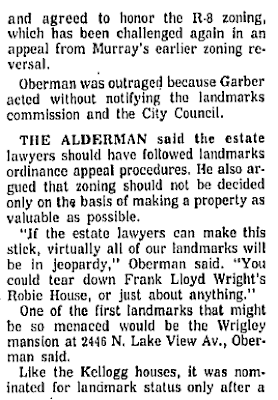 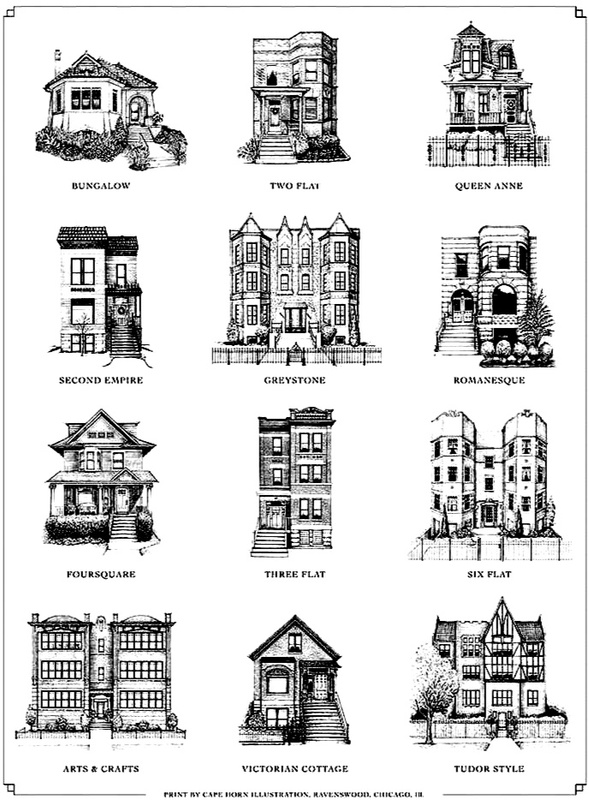 After reading this article I believe the most common housing stock in old Lake View is in the order - Framed Two Flat, the Chicago Greystone, Courtyard, and to a lesser degree the Worker Cottage. Finally, I do not judge to necessity of the tear-down without a lot more information but only report it for you, the reader, to judge and investigate further. 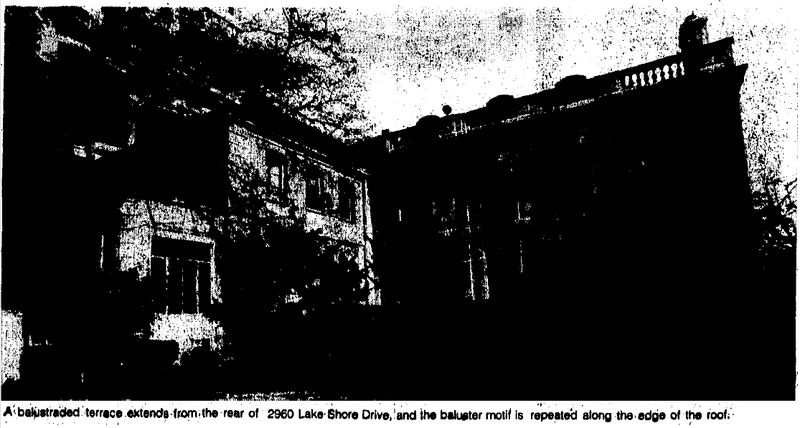 A lot of the houses in Lake View were convert into multi-occupancy during the mid 20th century to 'pay the bills' and lose the home. 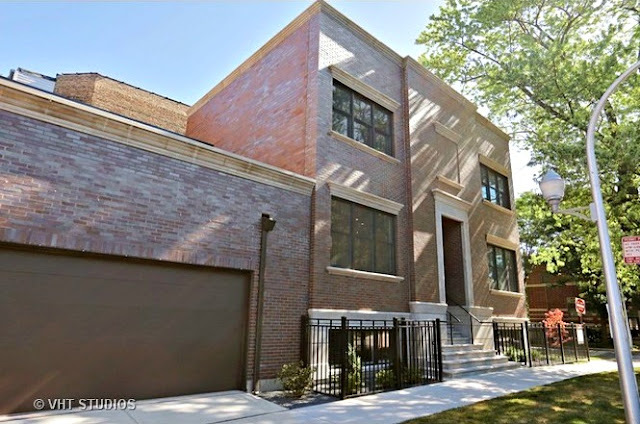 Unfortunately my favorite, the 2 Flat Greystone is a type of style of housing beginning to disappear from Lake View’s landscape and replaced by modern construction. 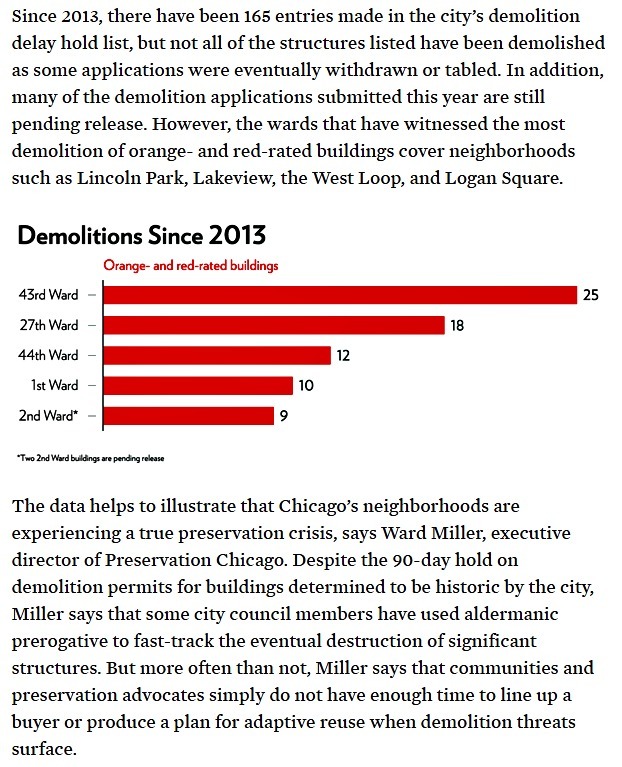 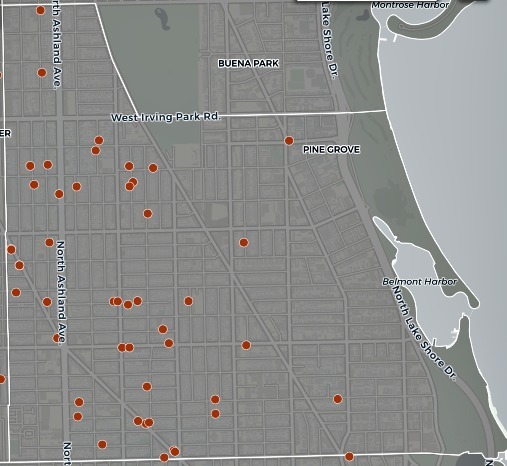 This link from Chicago Cityscape shows a chart of the number of tear-downs in the City of Chicago from 2006-2017 I contend are mostly from the northside. 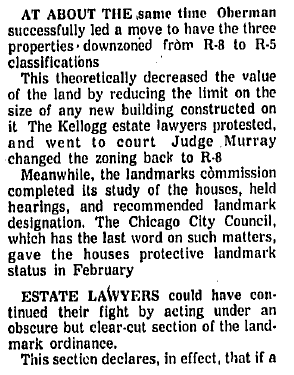 Retrieving real estate information became increasing difficult prior the to 2017. 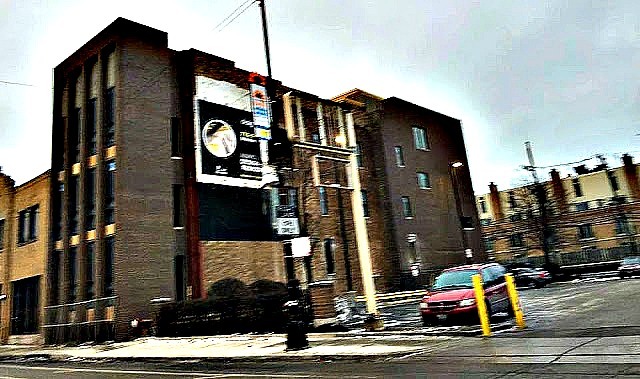 I listed in my blog Chicago Cityscape listed tear-downs from 2014 to the present due to the fact Chicago Cityscape was founded that year even though this org did a good job in retrieval of information from the assessor's office prior to that date. 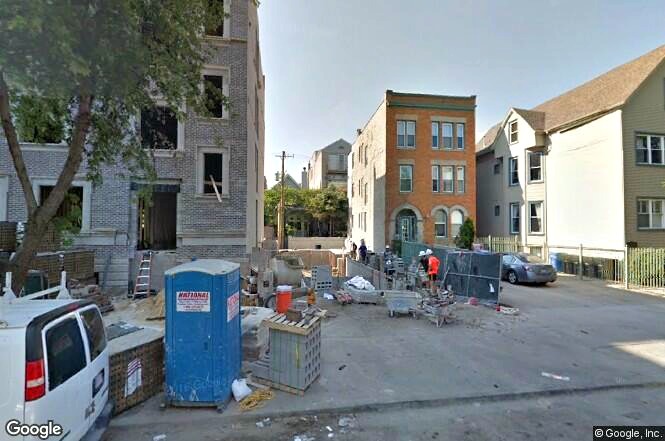 I found it interesting to the view timeline section of Google maps to discover the replacement to the original. 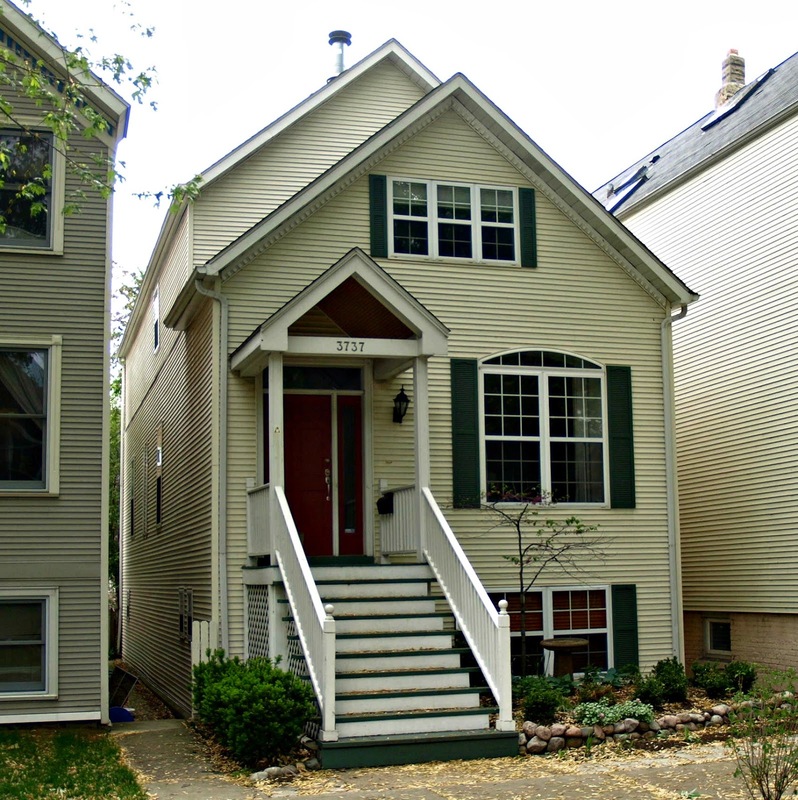 I used three realtor for more information about a particular tear-down. 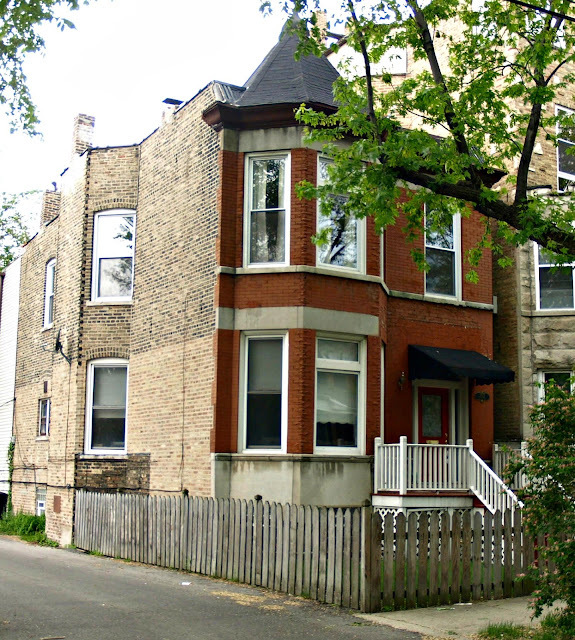 They are Redfin, Trulia, and Realtor.com but must often had to use Chicago Cityscape as a default. What are the laws around the demolition of residential buildings in Chicago, and what implications does this have for health and the environment? 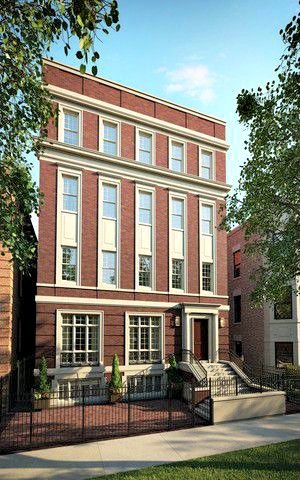 The effects of hazardous building materials have been well-documented. 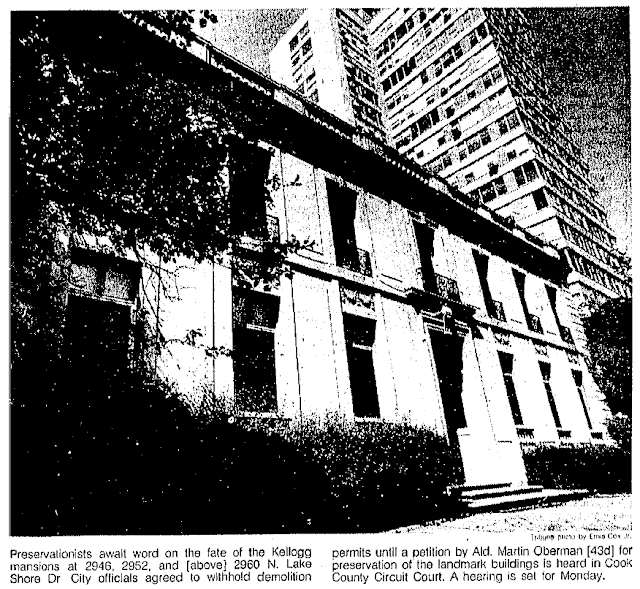 Dust from asbestos can cause serious long-term problems, such as the fatal lung cancer mesothelioma, and lead that is ingested can cause severe developmental delays in children. 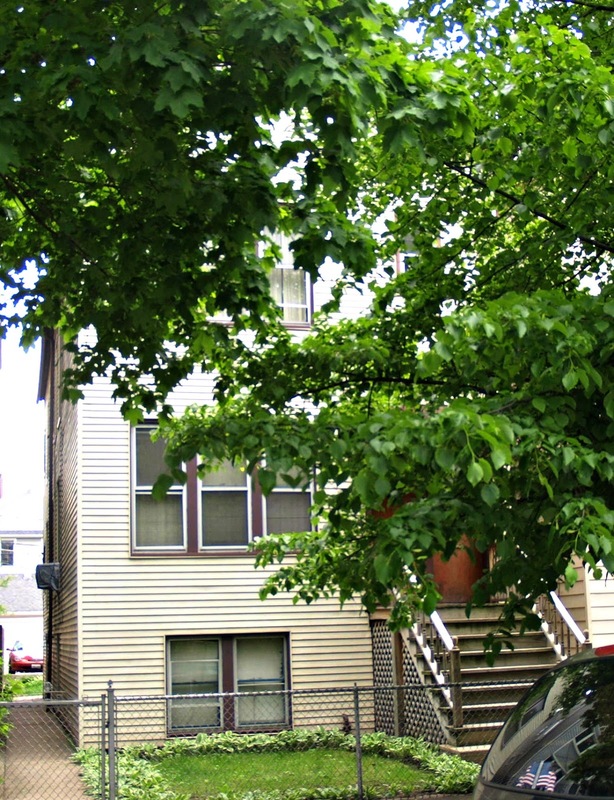 Health & environmental experts don’t agree on exactly how much exposure to these poisonous contaminants is safe, which is why they want to minimize exposure as much as possible. The city of Chicago has numerous laws on the books to protect the public’s health, but public health experts, contractors, and some city officials told Curious City/WBEZ that they are rarely enforced for residential demolition sites. 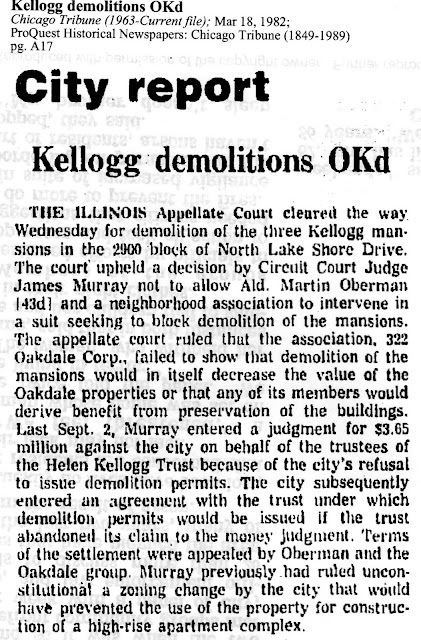 It’s also unclear if city officials are even aware of the potential health risks posed by these kinds of demolitions. While most larger-scale demolition projects require approval from the city’s Department of Public Health, smaller projects like tearing down single-family homes - do not. 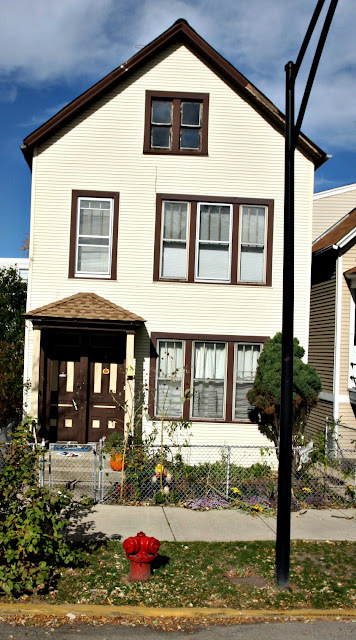 The city’s Department of Public Health “strongly recommends” contractors hire an expert to handle contaminants for smaller residential demolitions - but doesn’t require it. 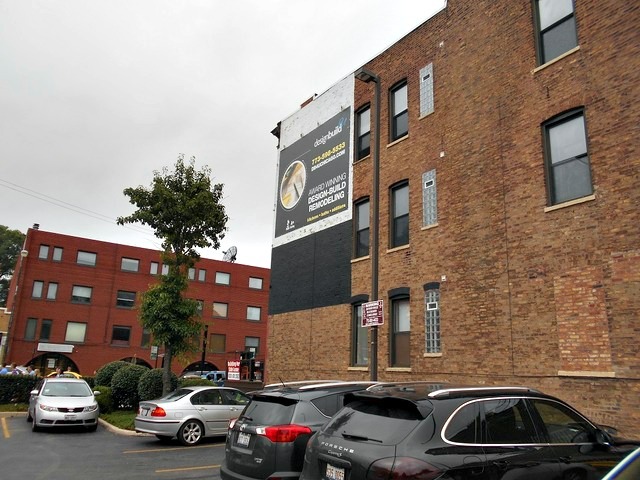 It’s often workers who suffer most from contaminant-related diseases because of weak regulation and enforcement, according to a 2015 investigation from the nonprofit Center for Public Integrity. 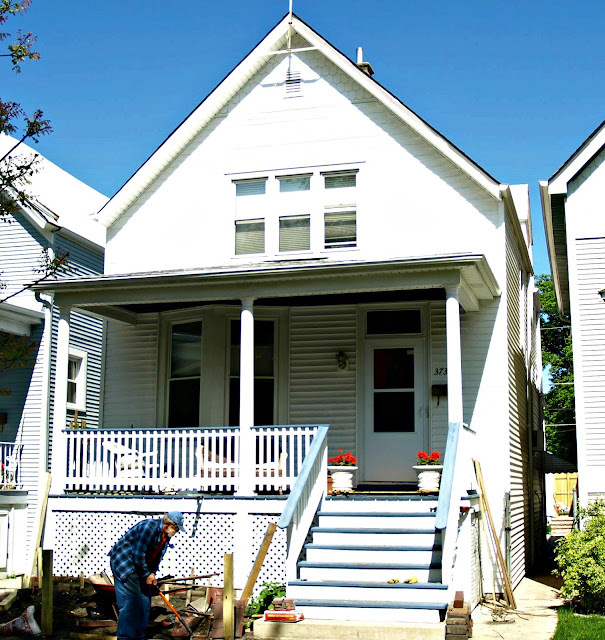 Thousands of workers get sick and die from contaminant-related diseases every year, the nonprofit found. 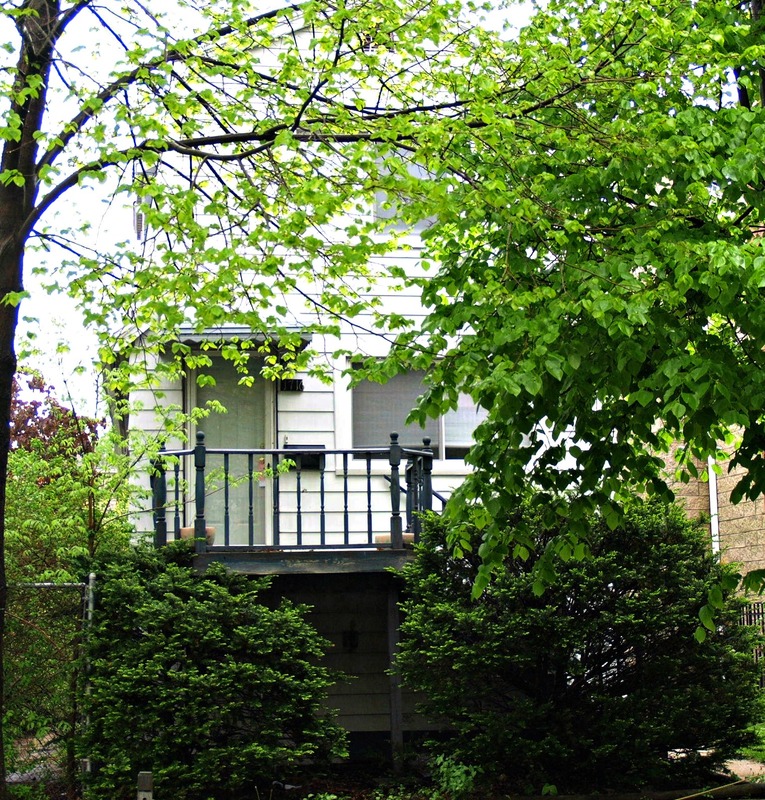 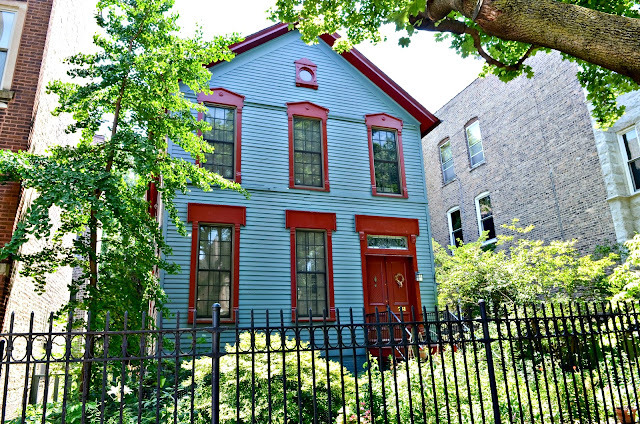 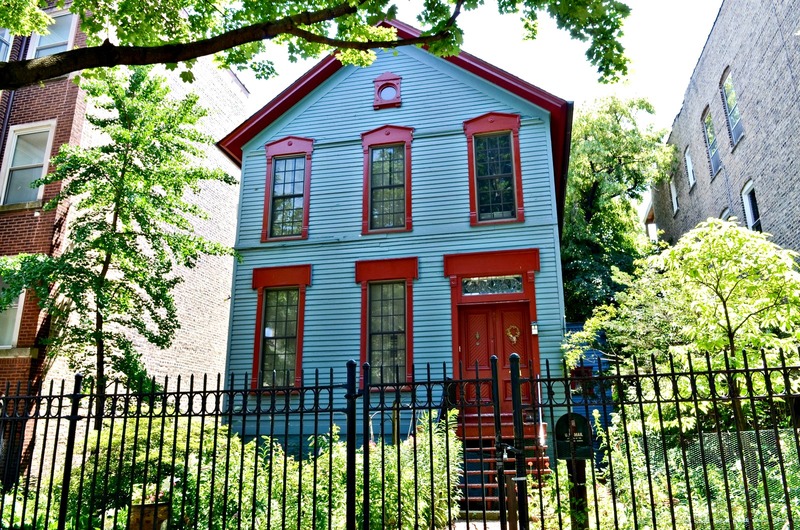 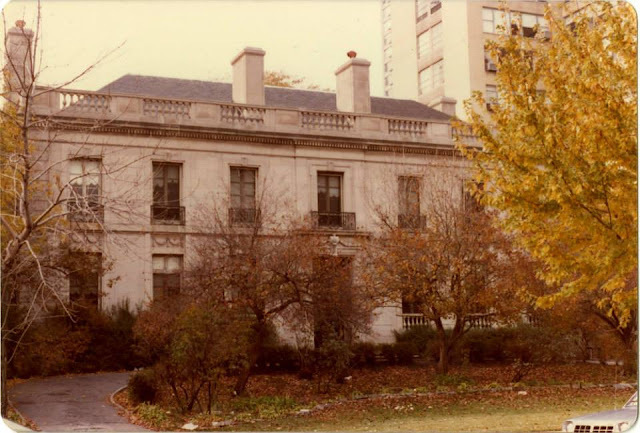 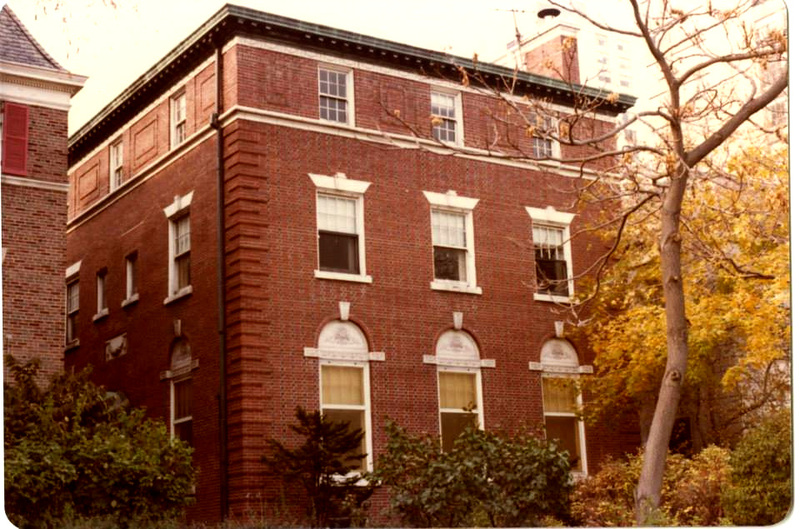 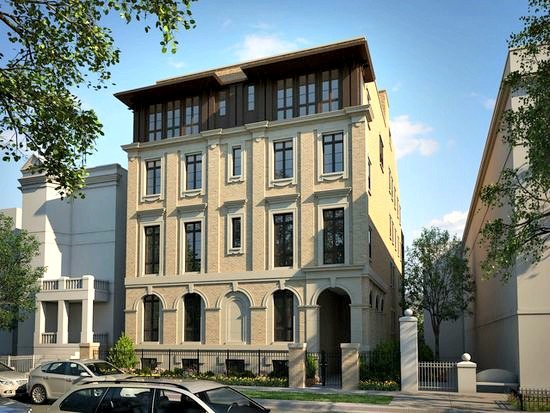 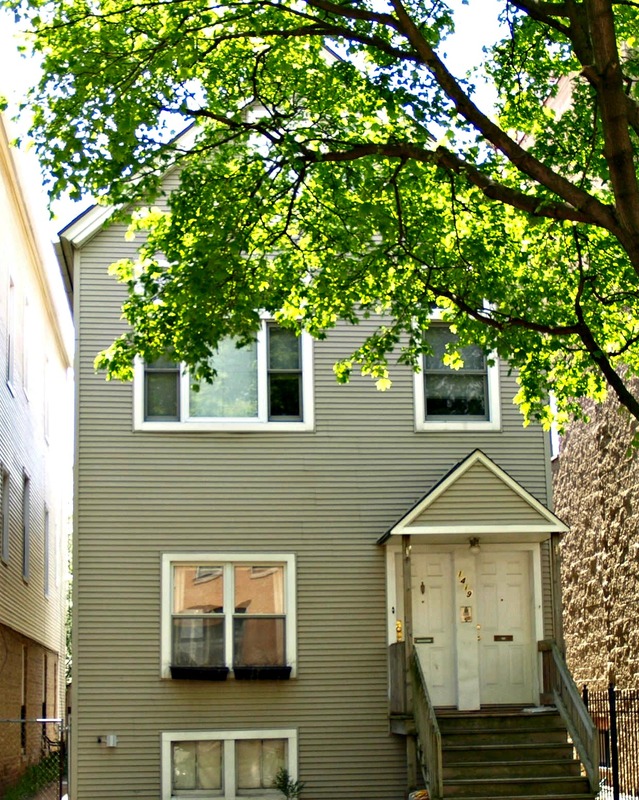 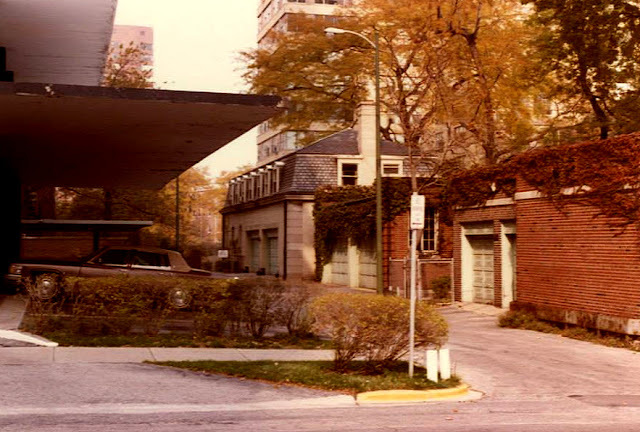 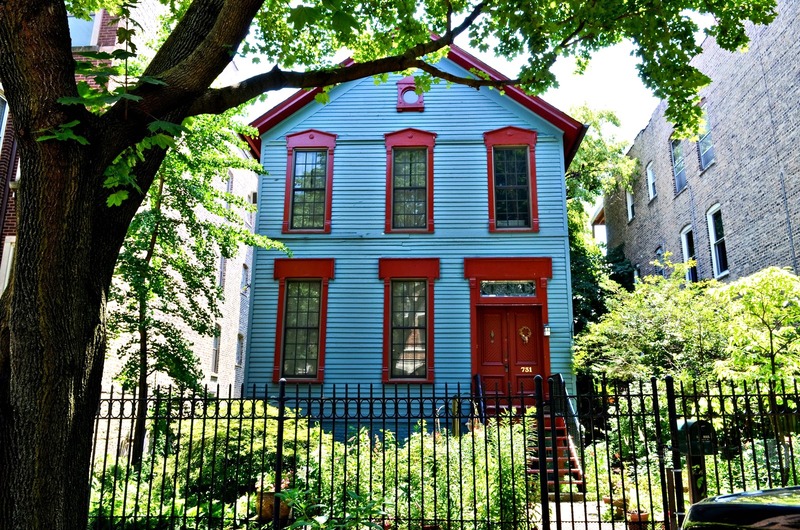 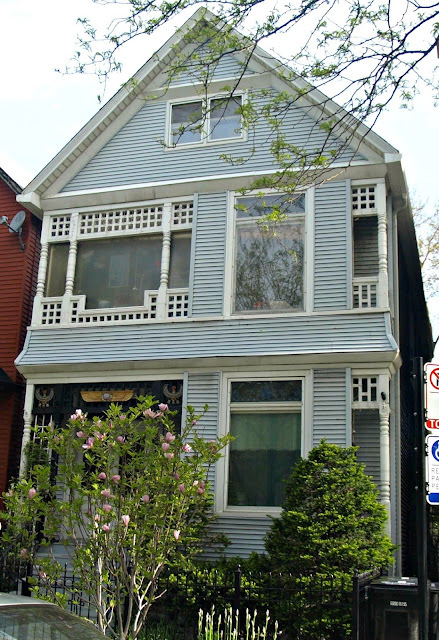 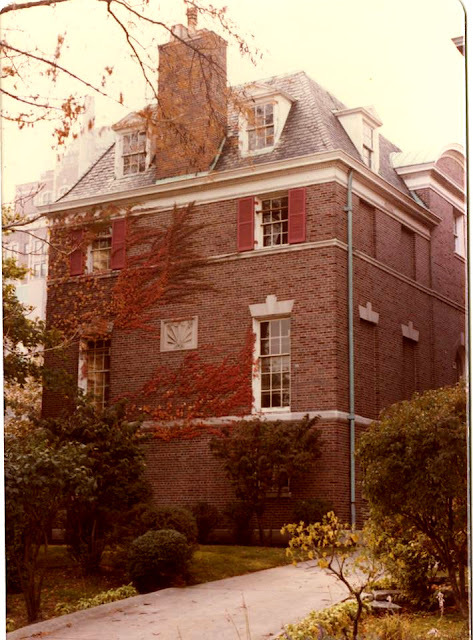 'The outrage, sadness and grief felt by many Lake View neighbors by the sudden demolition of the 1870’s era Italianate cottage at 702 West Wellington was shared widely as Preservation Chicago’s “Spotlight on Demolition” helped to spread the news of this loss. 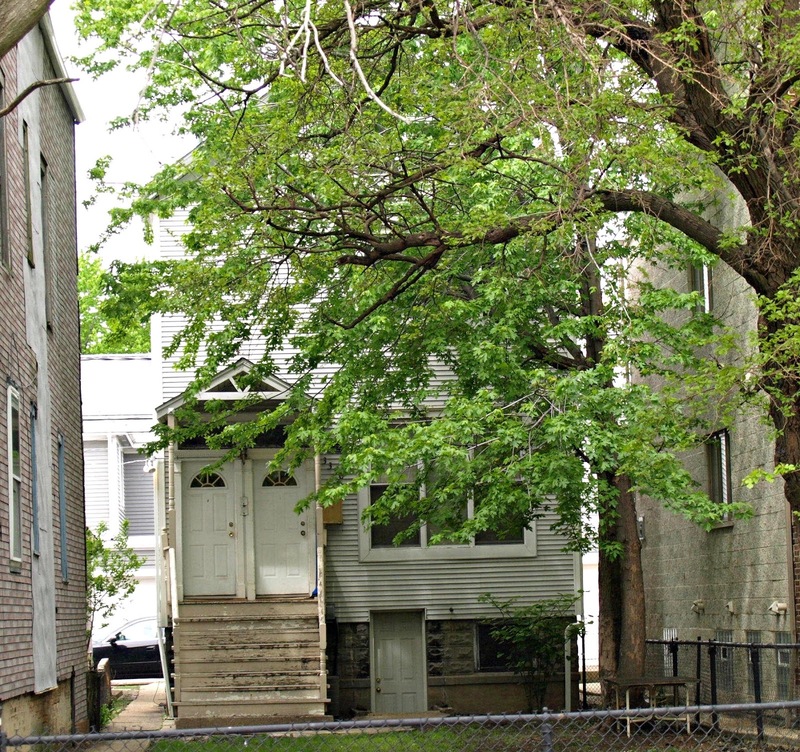 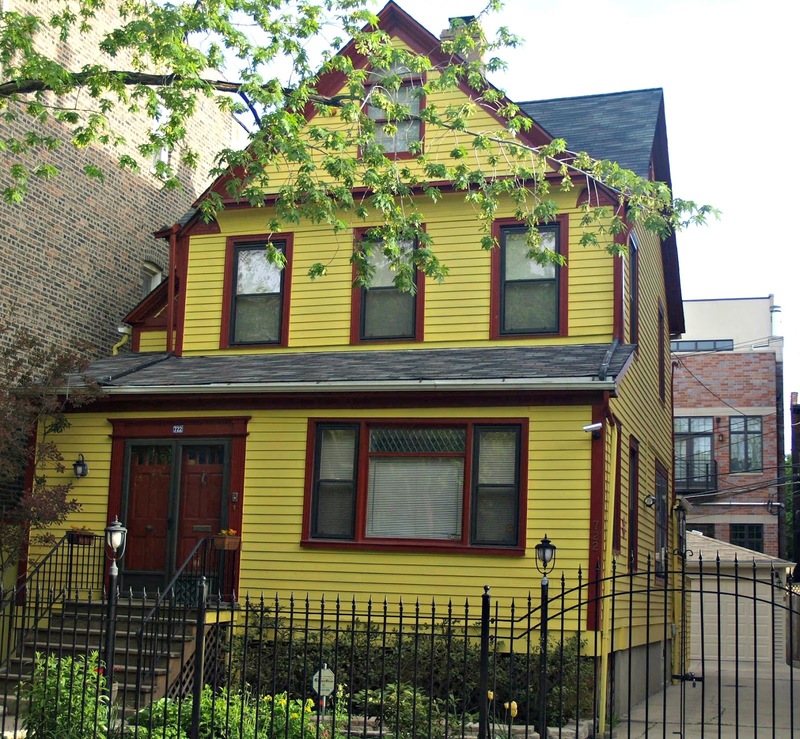 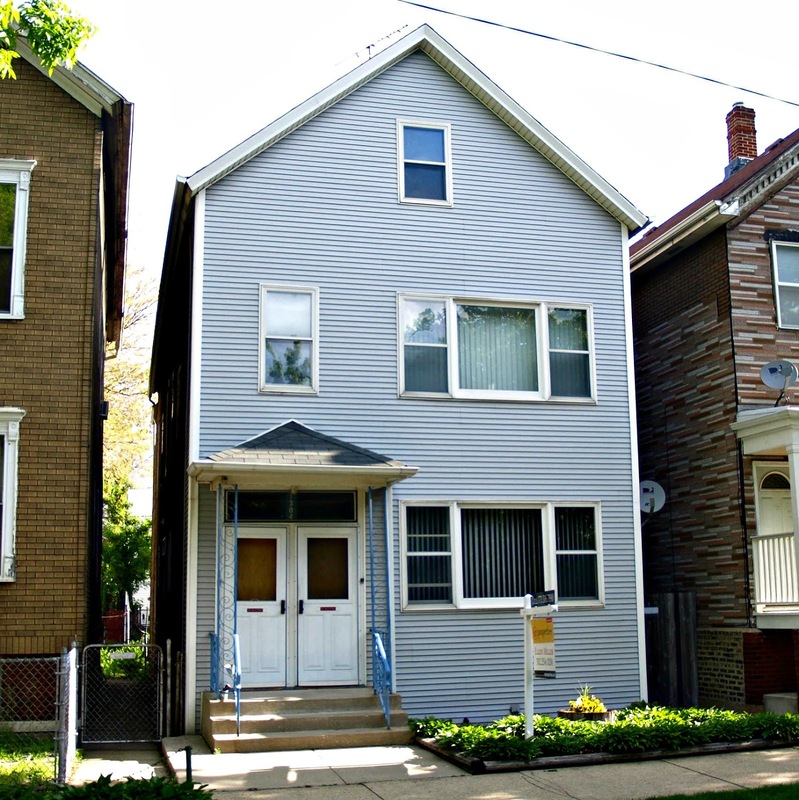 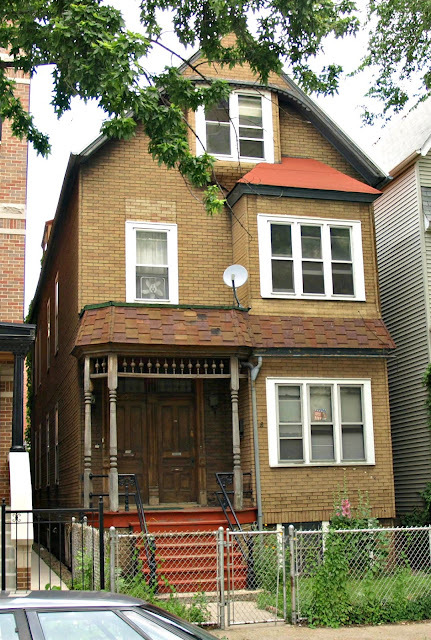 “Spotlight on Demolition” is an initiative intended to help bring more community and media attention to the frequent loss of historic single family homes in Chicago’s neighborhoods. 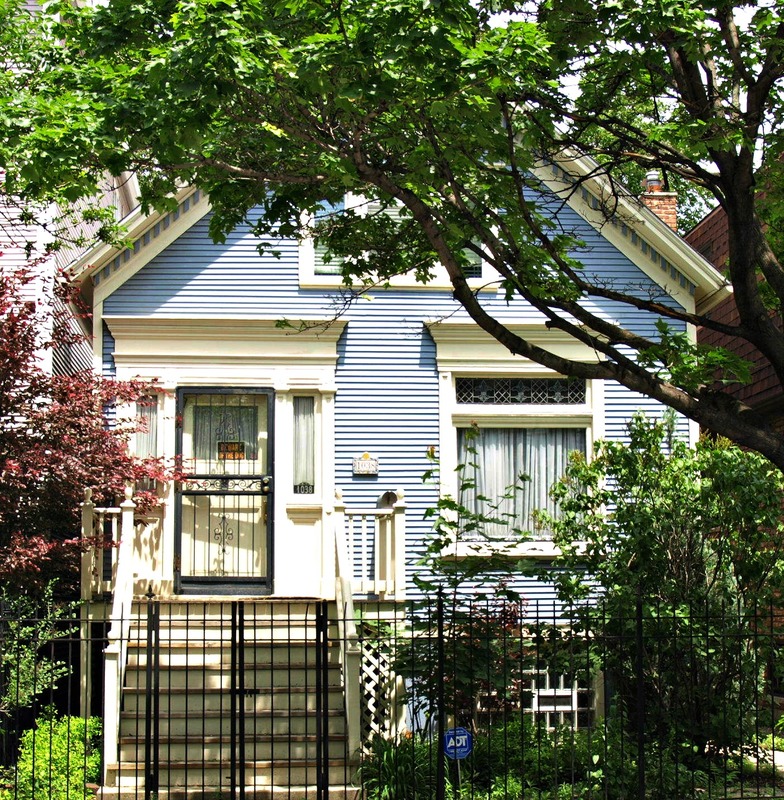 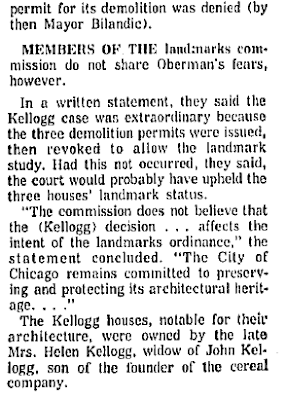 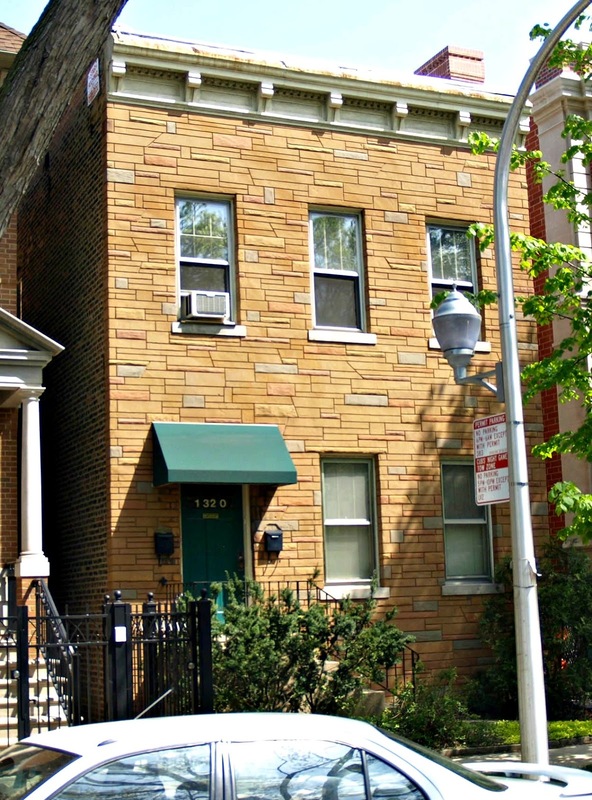 Unlike large historic buildings such as the Chicago Tribune Tower or the Old Main Post Office, these small homes typically have no protection against demolition and often vanish “overnight” after being bought by a developer. 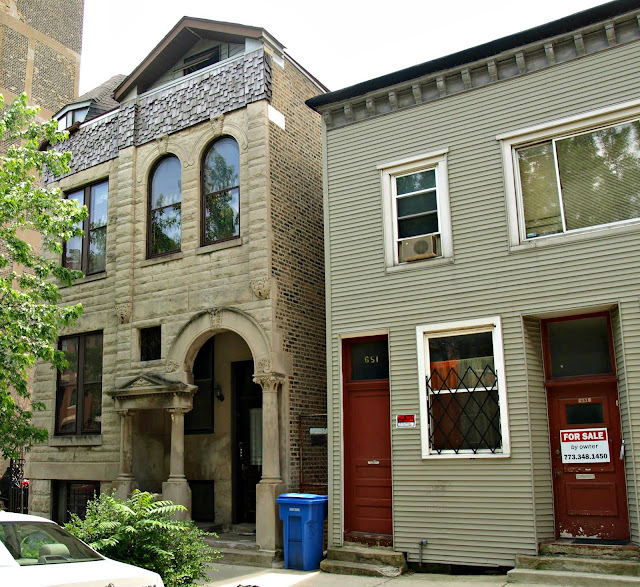 The creation of new and expanded Chicago Landmark Districts would help to prevent these homes from being demolished. 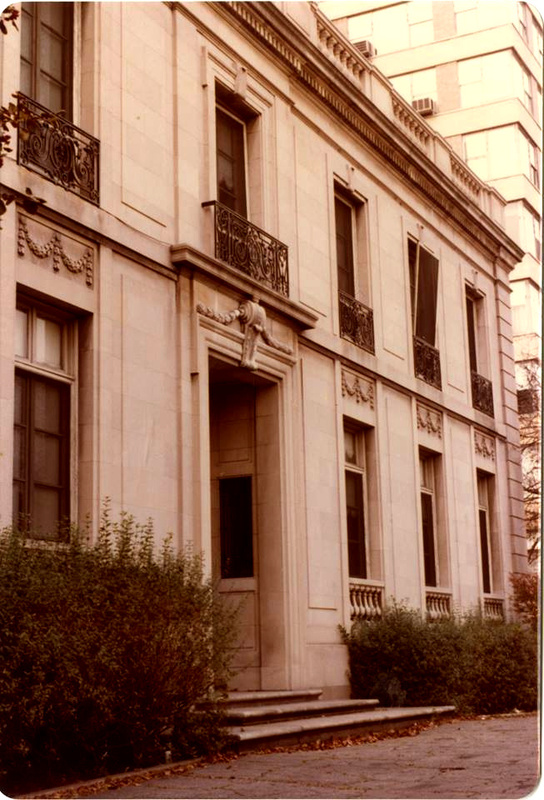 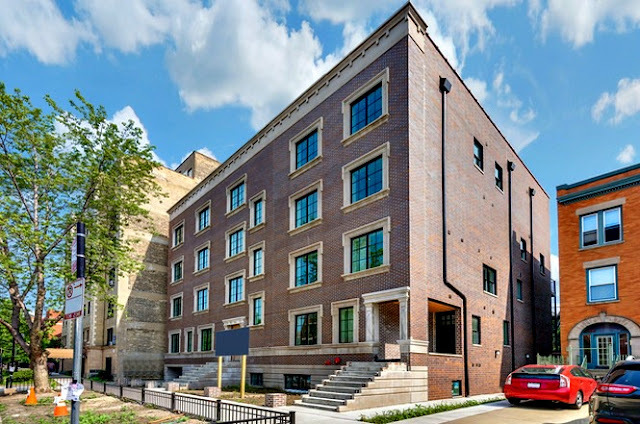 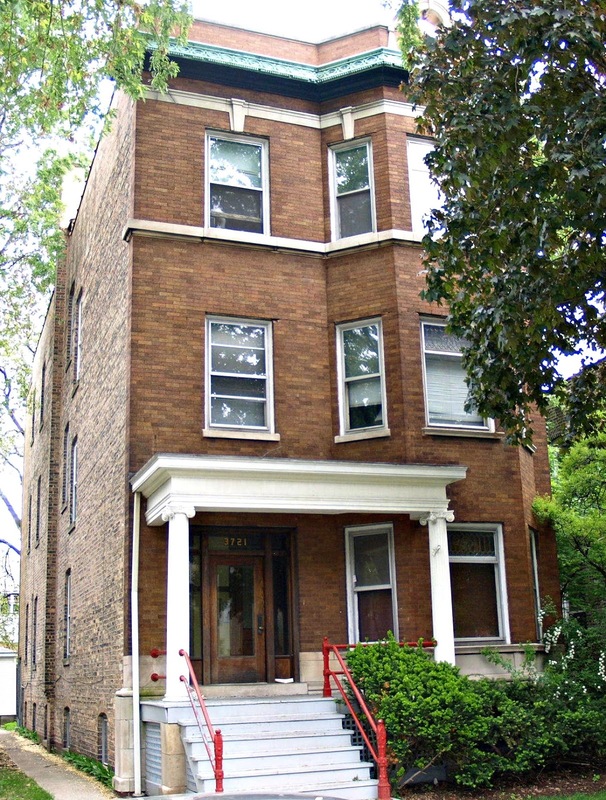 The story of 702 West Wellington was widely viewed through social media and was picked up by Fox 32 Chicago News which aired a two minute story on the local newscast. 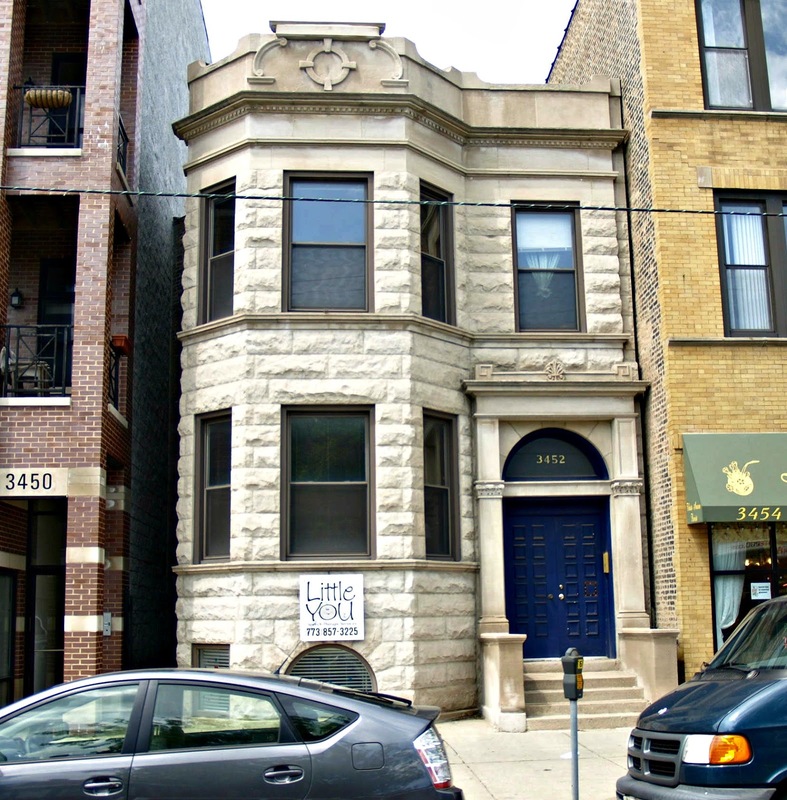 During the newscast, Dane Placko interviewed Preservation Chicago’s Ward Miller and 44th Ward Alderman Tom Tunney. Alderman Tunney voiced his efforts in cooperation with the City and community groups to create an East Lake View Historic Landmark District. Preservation Chicago applauds Alderman Tunney for his leadership in helping to protect historic Lake View homes and buildings from demolition. 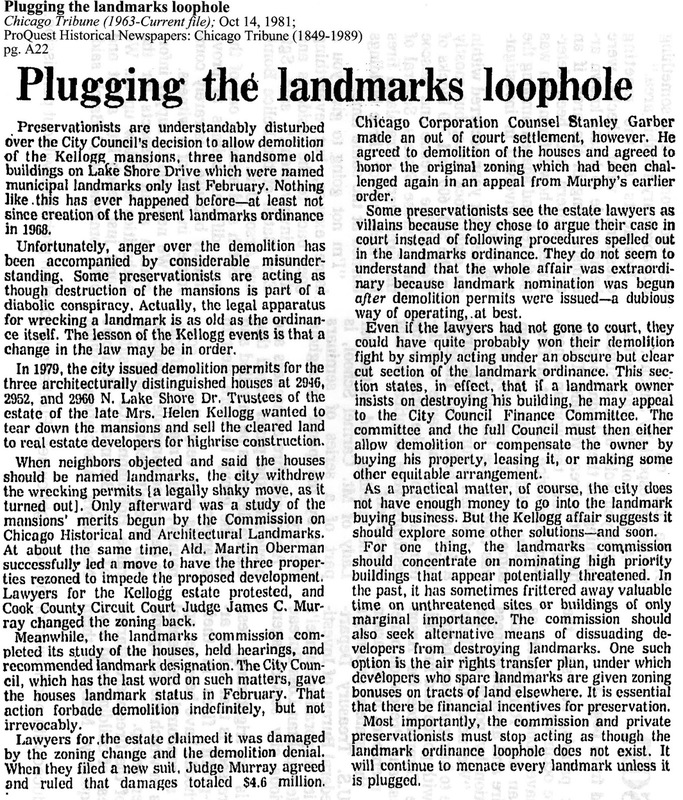 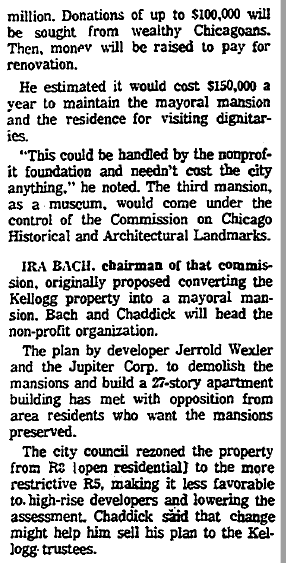 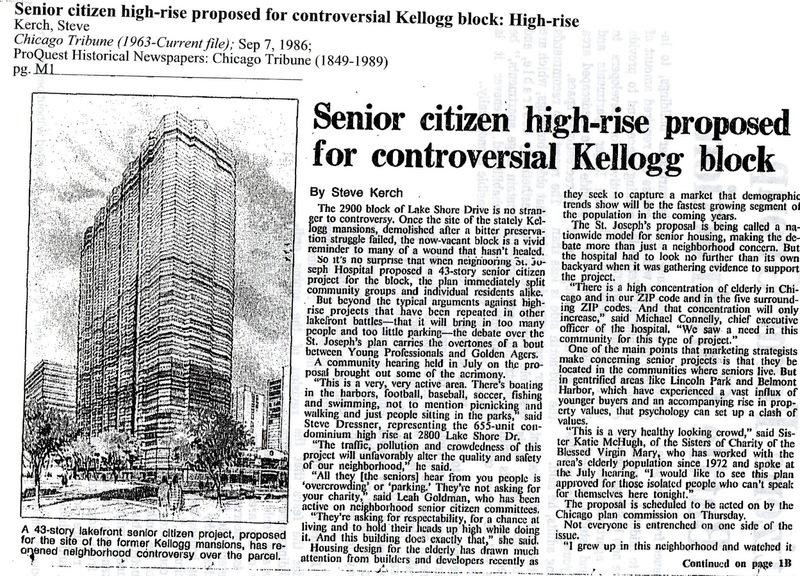 Preservation Chicago also applauds Fox 32 Chicago News and Dane Placko for focusing on this important issue. 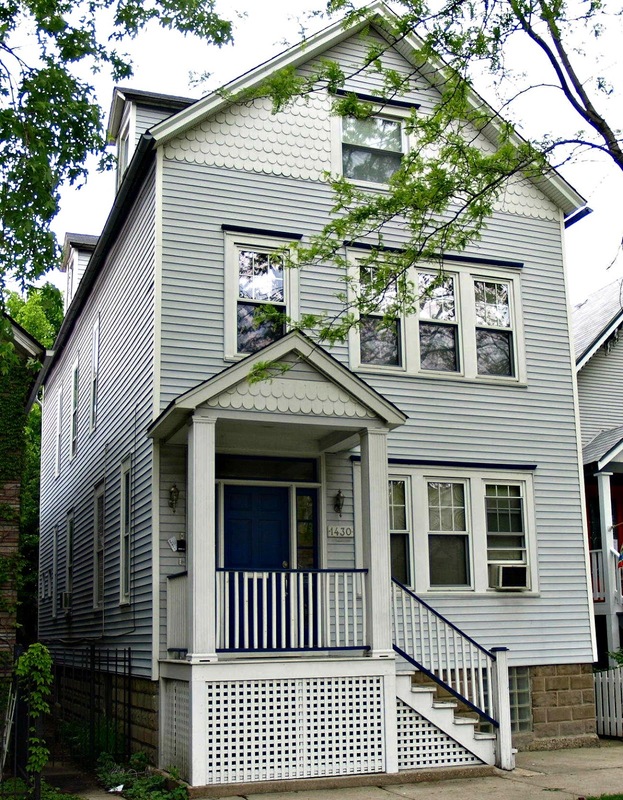 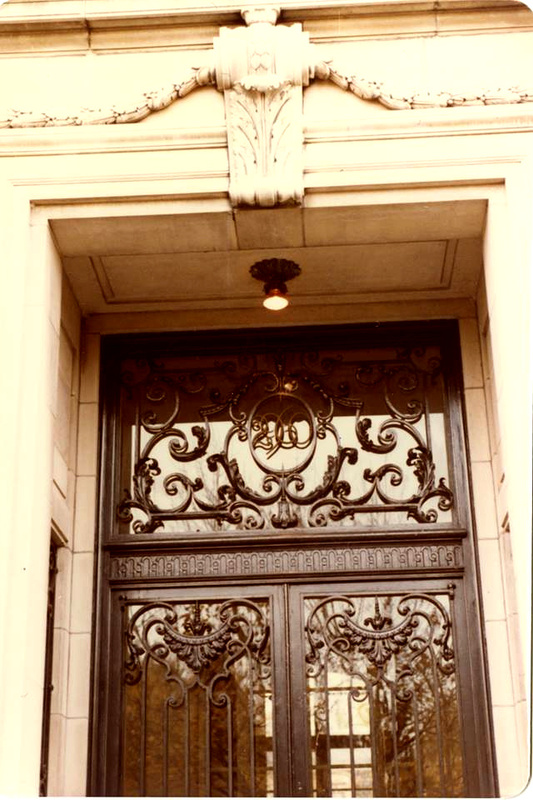 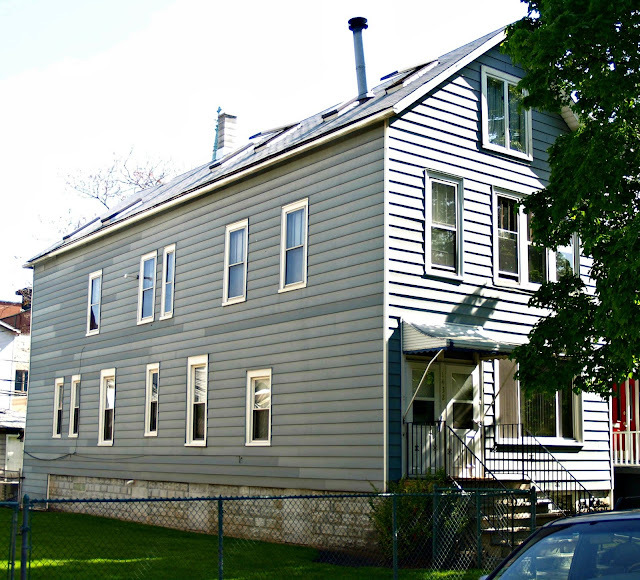 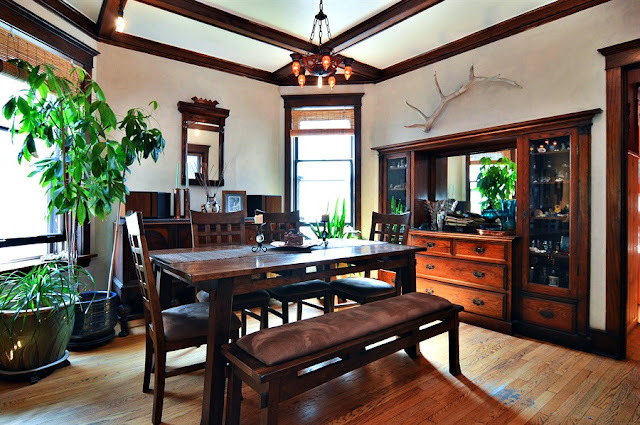 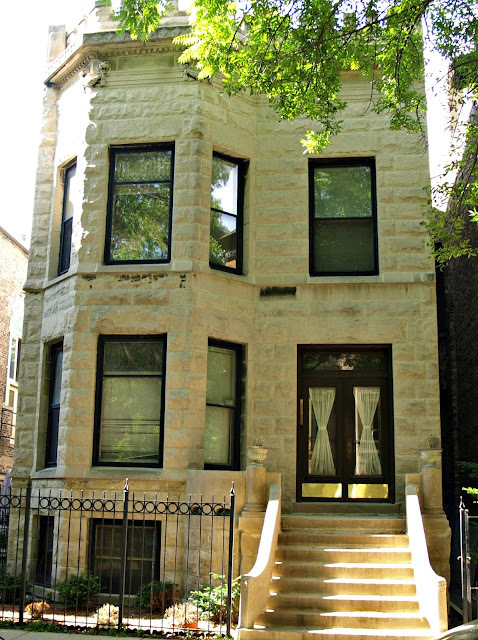 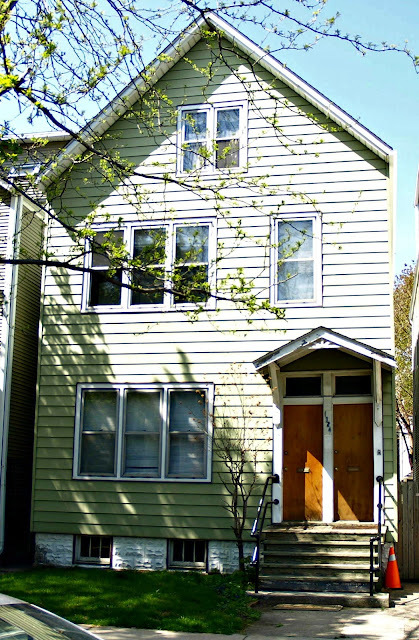 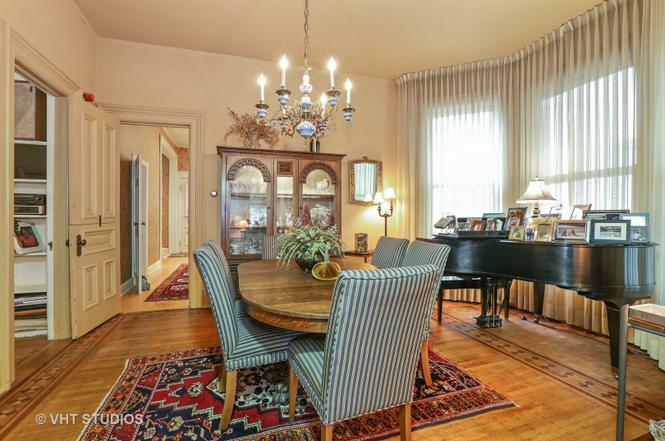 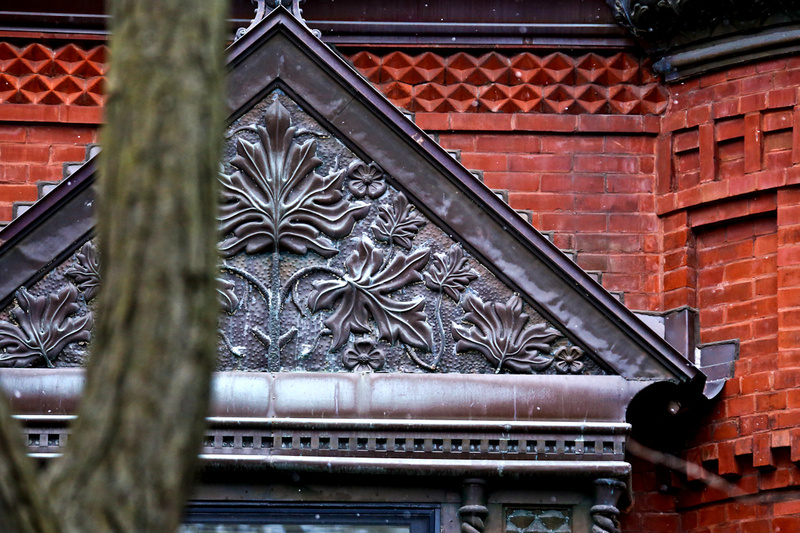 was built in 1890 according to Trulia one year before the City of Lake View was annex to the City of Chicago. 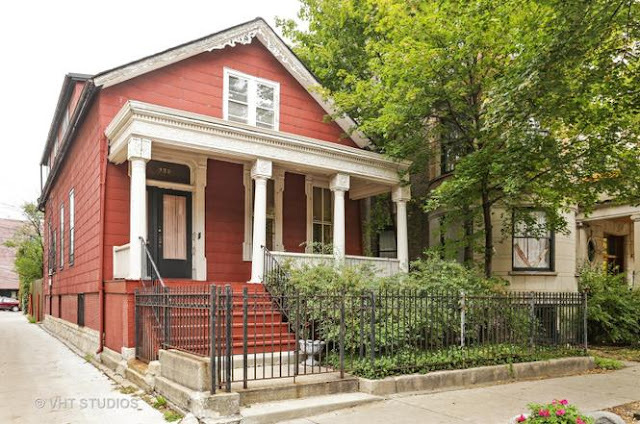 was built in 1880 according to Trulia. This house was constructed with Lake View was a township. 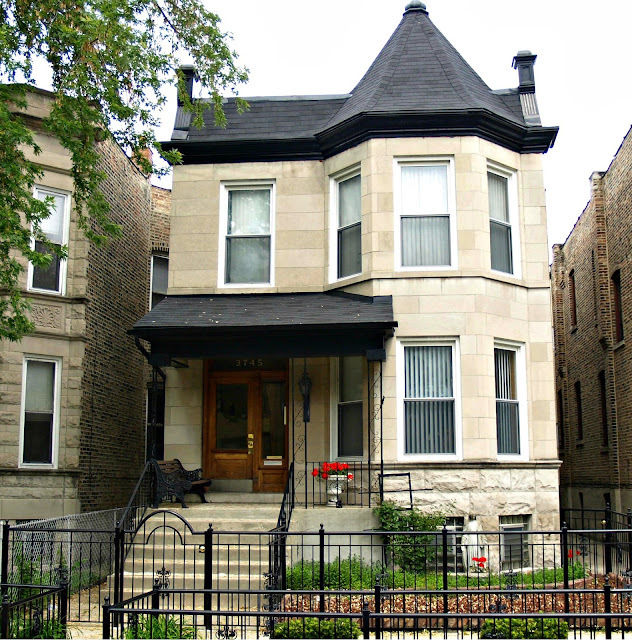 was built in 1886 according Redfin. This house was constructed with Lake View was a township. 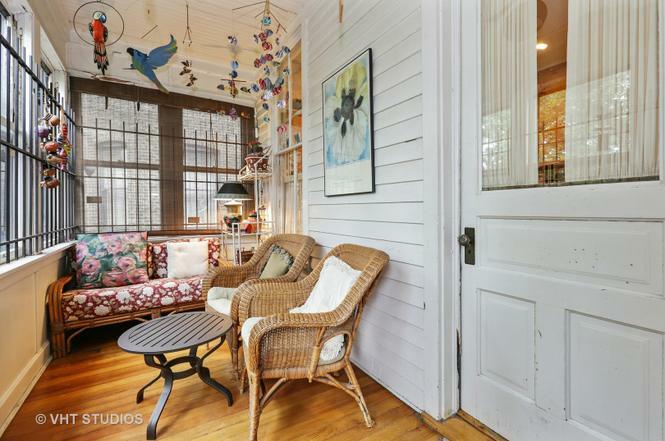 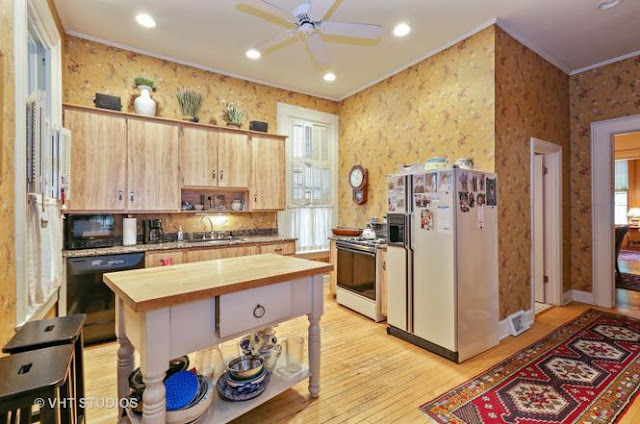 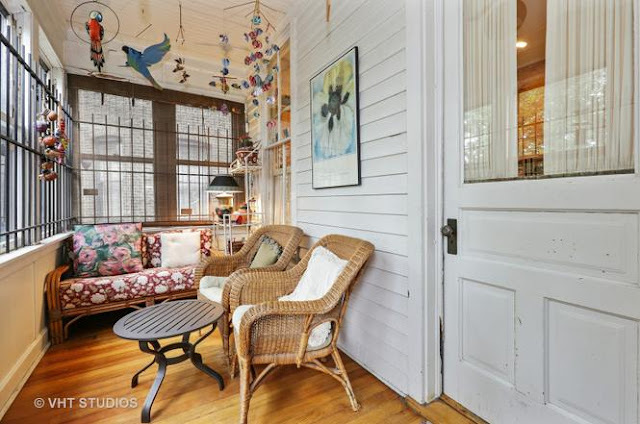 was built in 1887 according Redfin. 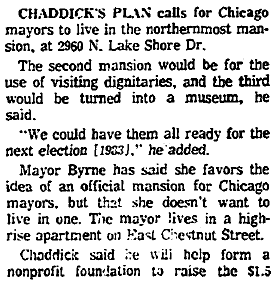 This house was constructed with Lake View was a city much like Chicago. 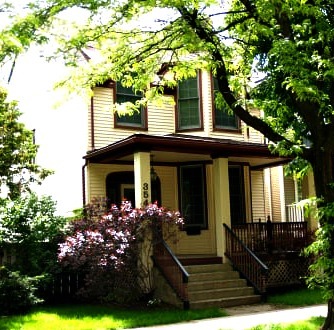 was built in 1880 according Trulia. 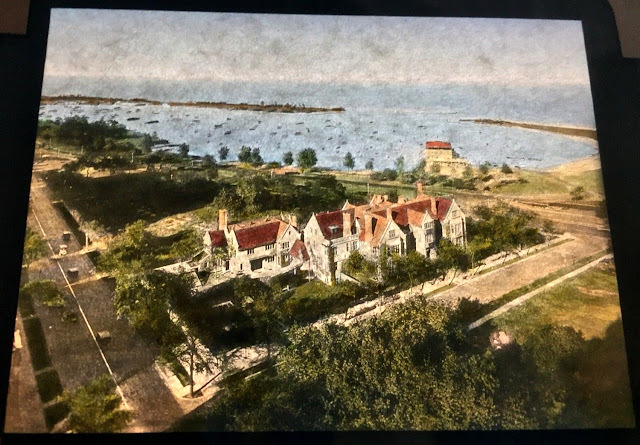 This house was constructed with Lake View was a township. was built in 1891 according to Redfin. 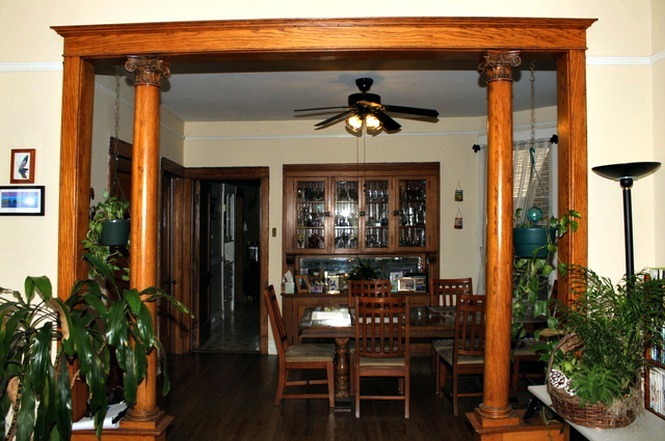 was built in 1888 according to Redfin. 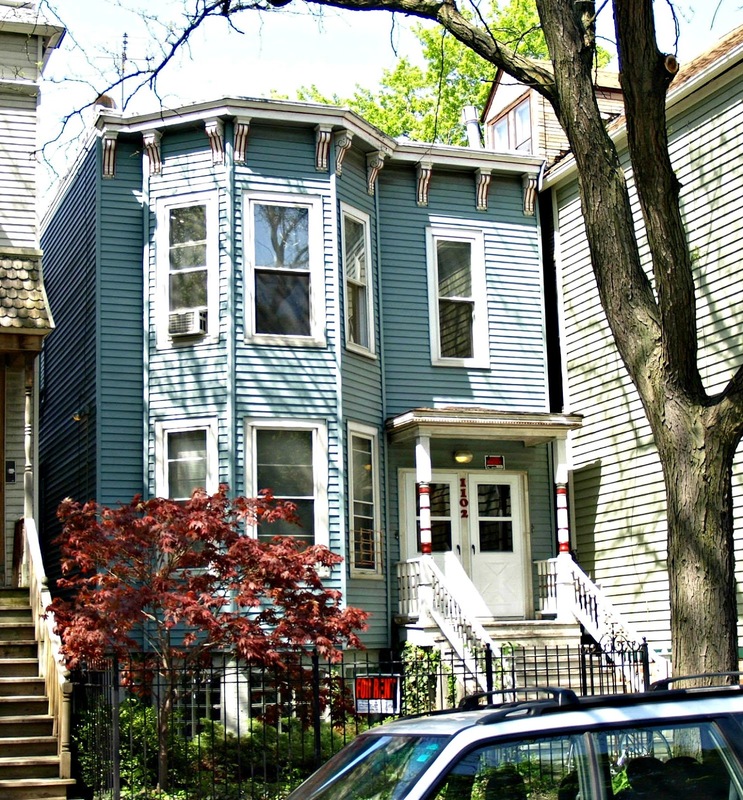 This house was constructed when Lake View was a city much like Chicago. 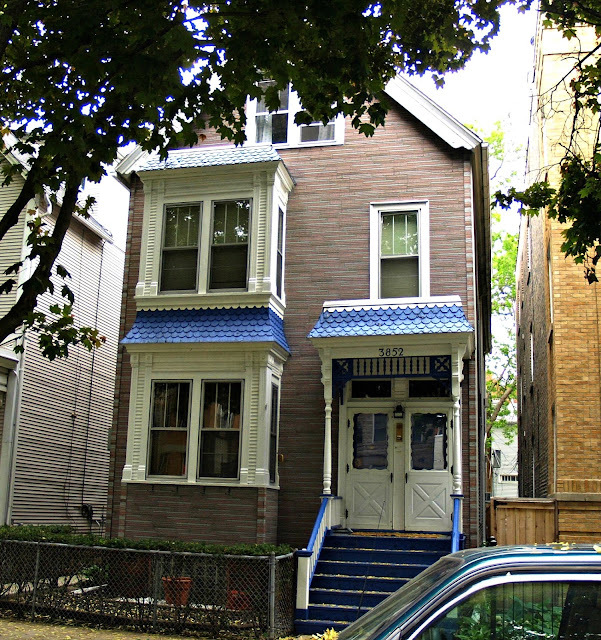 with a construction date of 1914. Lake View was a city much like Chicago. 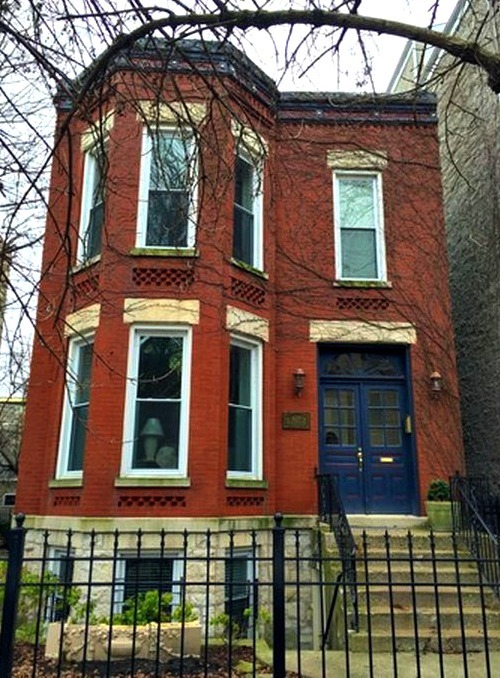 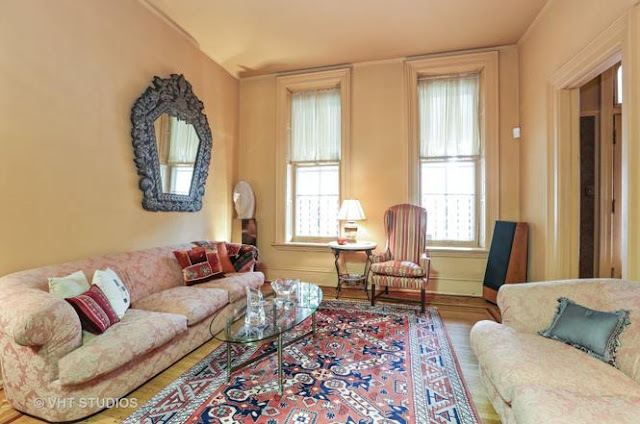 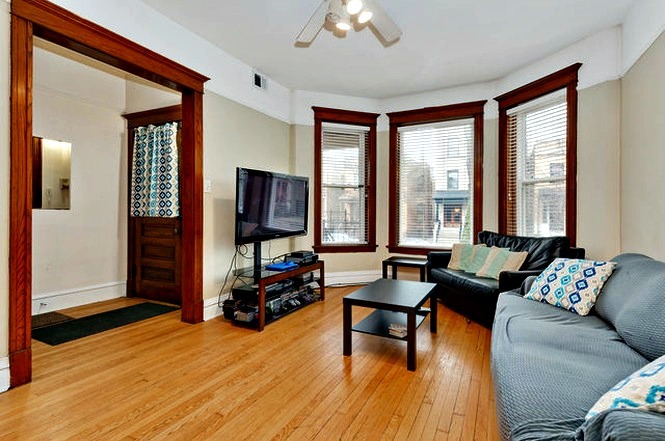 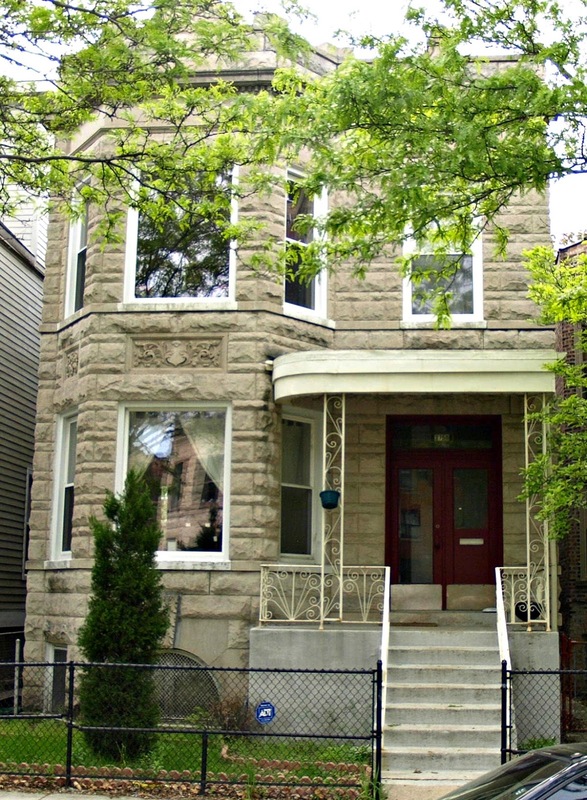 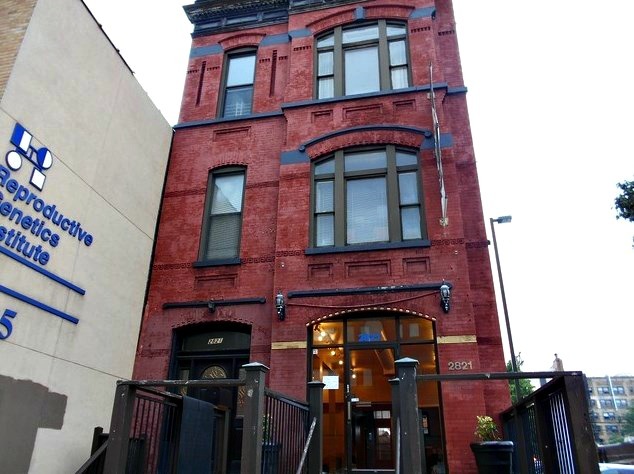 This multi-family 2 flat was built in 1888 according to Realtor.com but I do not have a lot size. This house was constructed when Lake View was a city much like Chicago. (see Google map) shared the same fate. 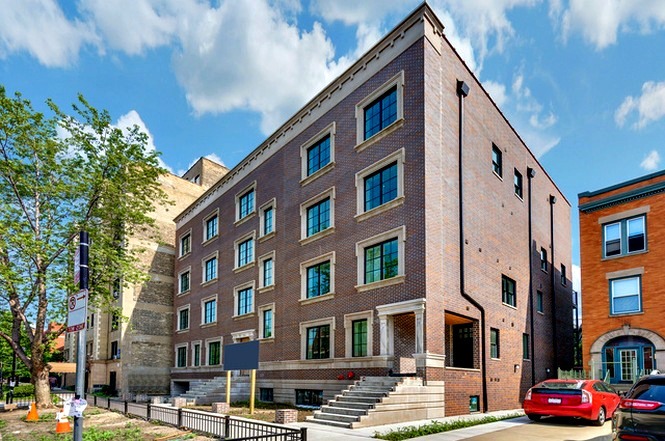 This photo above is from Redfin and is new construction. 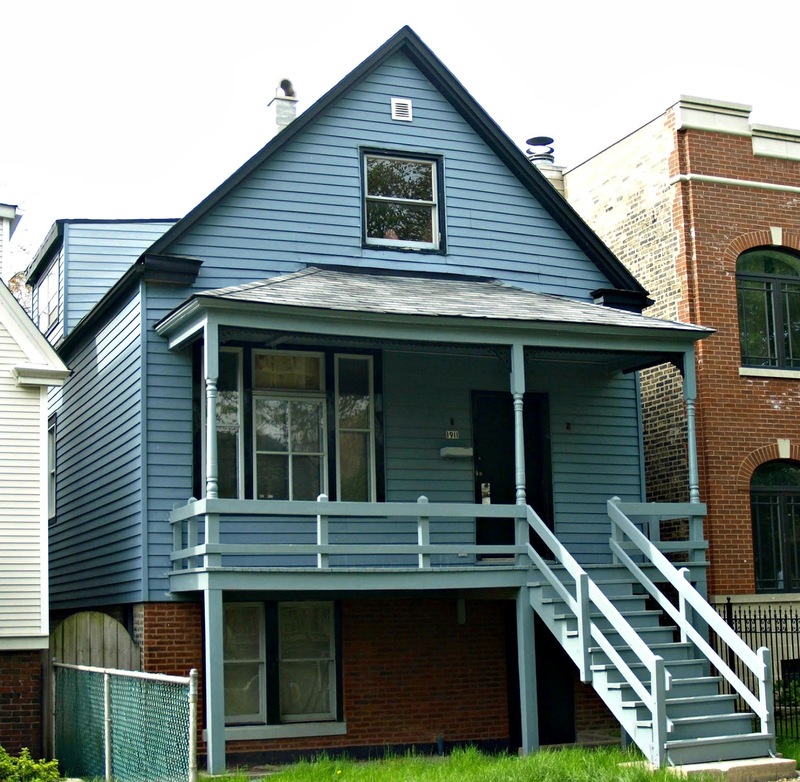 Apparently, Chicago Cityscape did not receive the teardown photo from the Assessor's office. 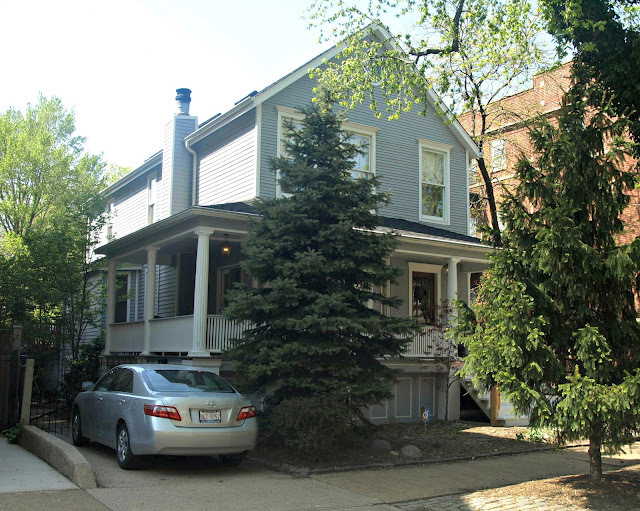 An interior remodel of existing 3 unit residential building to be de-converted to a single family residence with basement, first, second floor rear 15' x 23' addition, including removal of 10'-10" x 23' (249.1 sq.ft) of floor area on the existing 3rd floor. 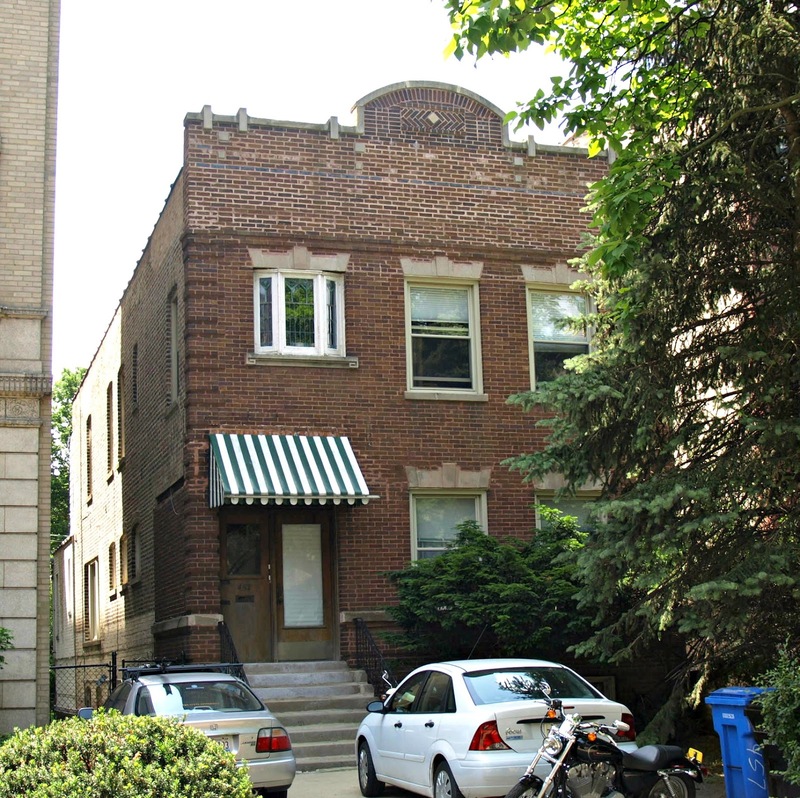 erect rear detached 3-car private garage with roof deck. 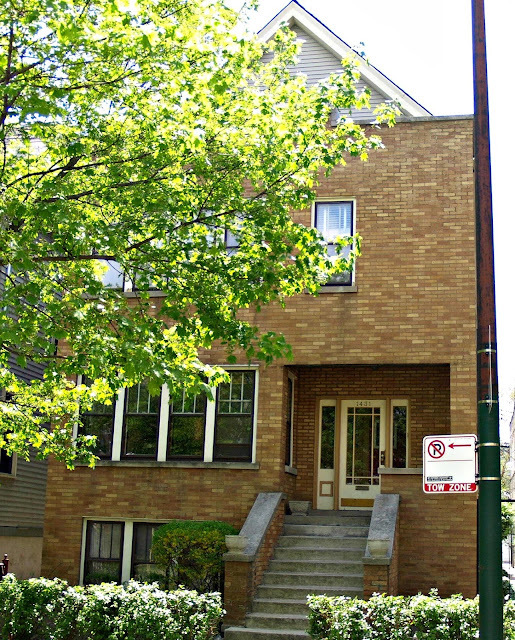 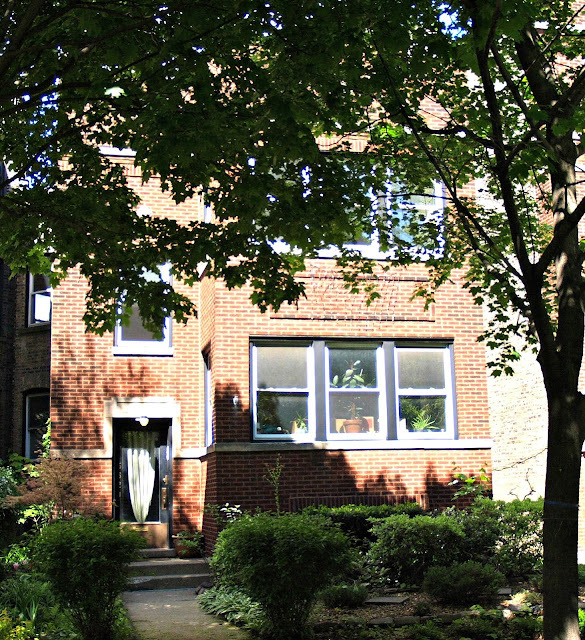 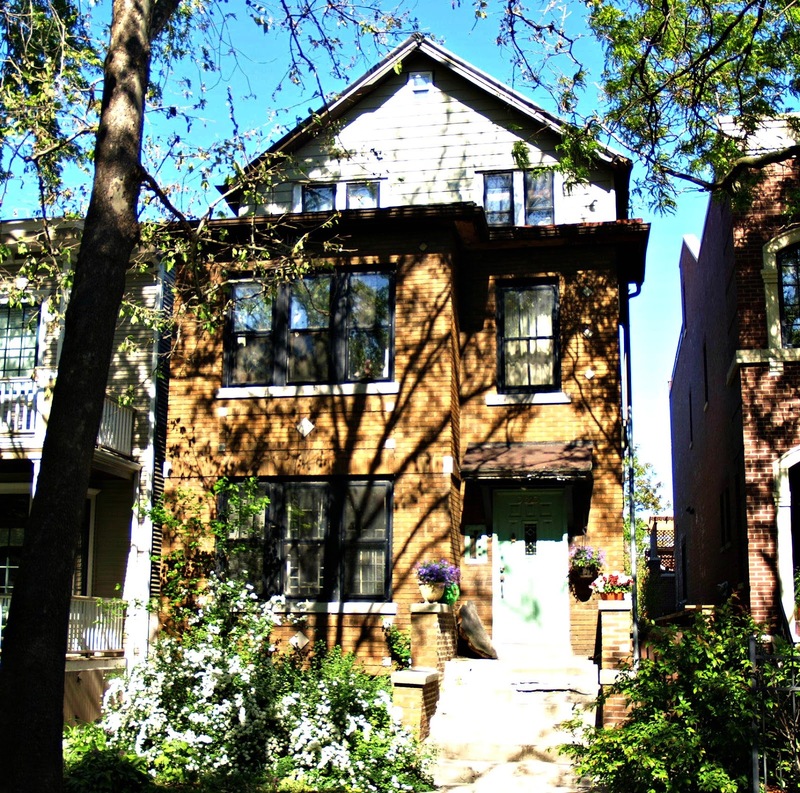 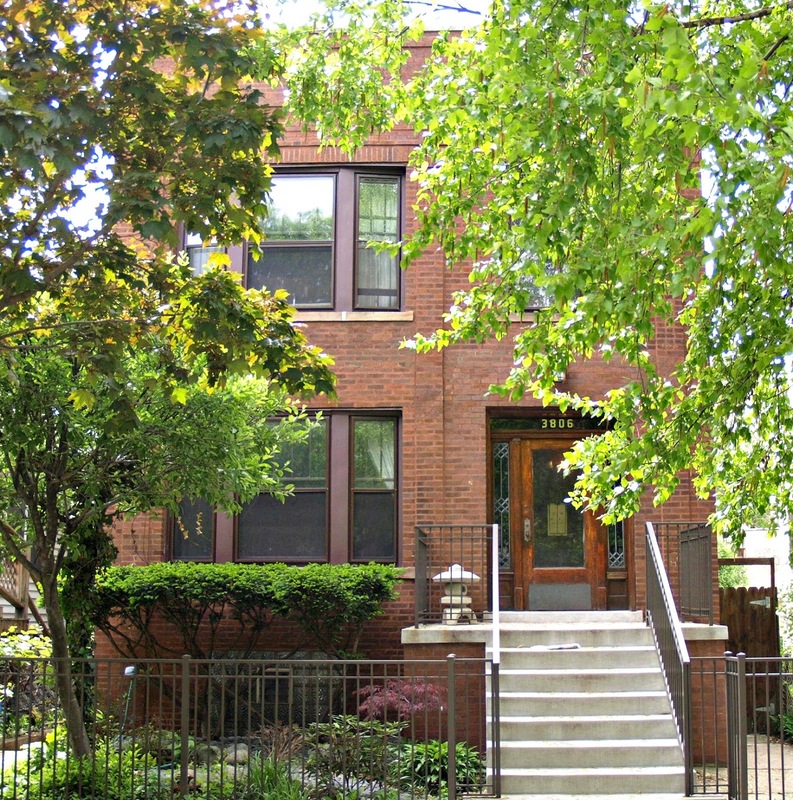 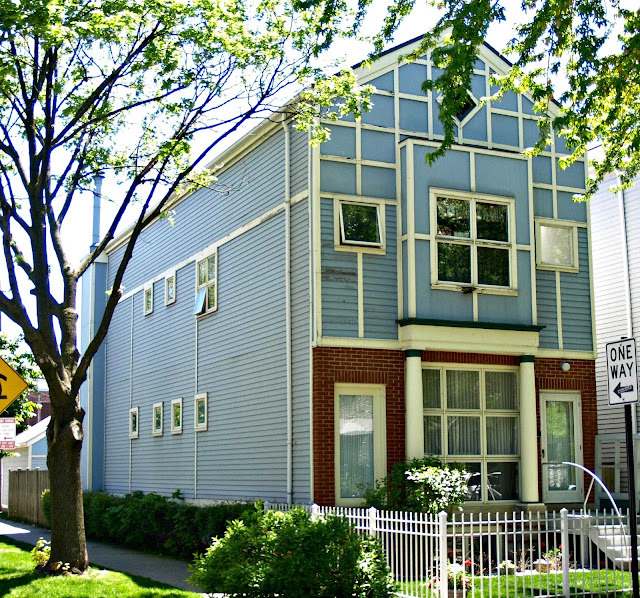 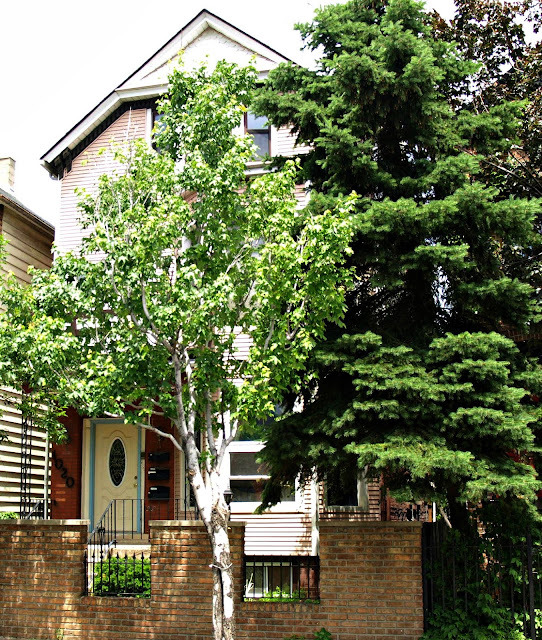 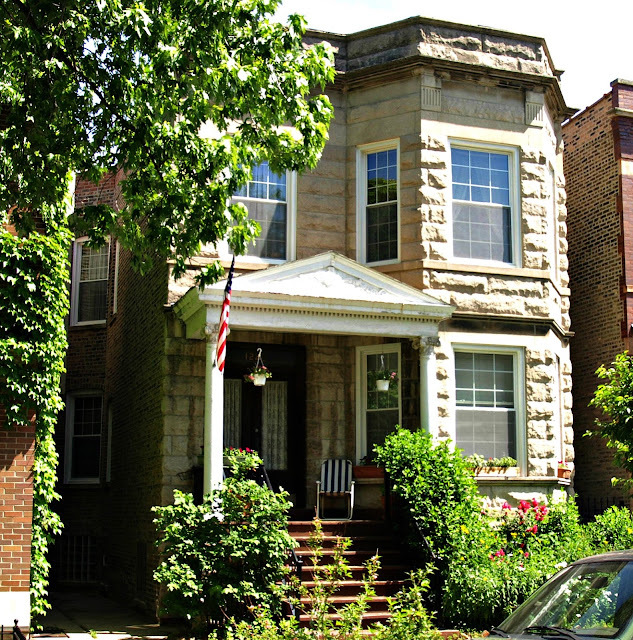 well-maintained homes are located on Diversey Parkway named after beer baron Michael Diversey, owner of the Diversey beer company or more commonly referred to as the Chicago Brewery. Read/view more from the above link.